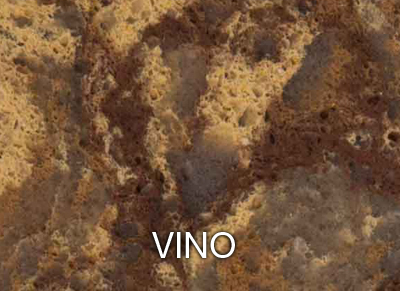 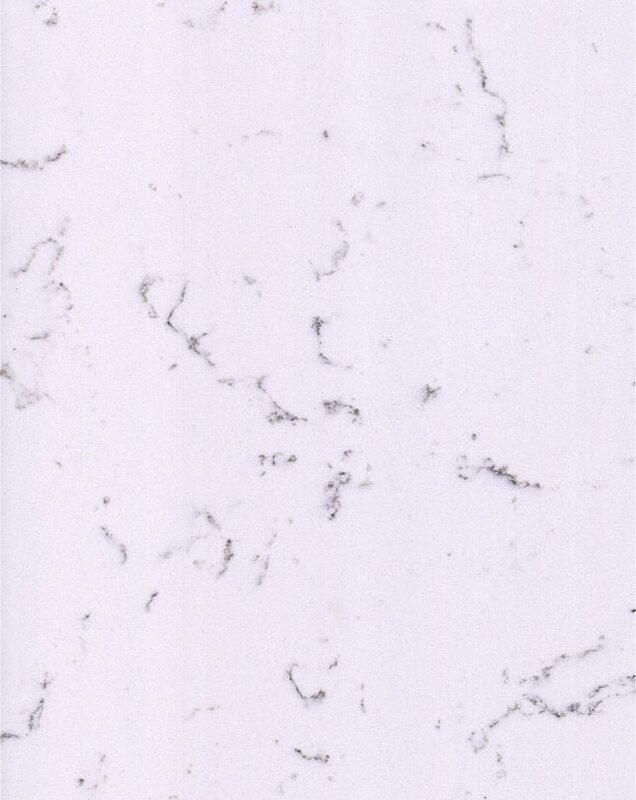 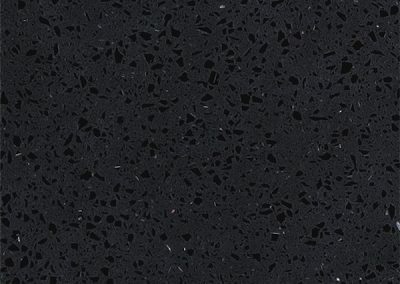 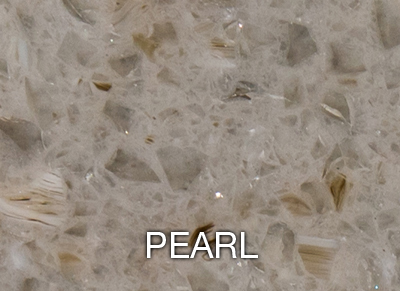 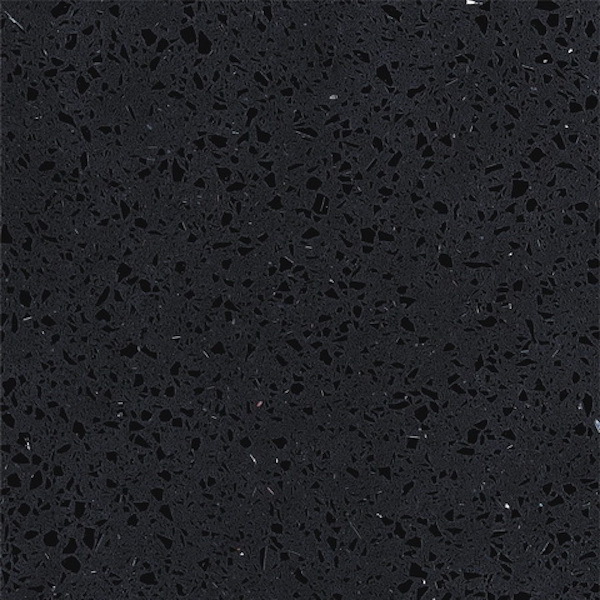 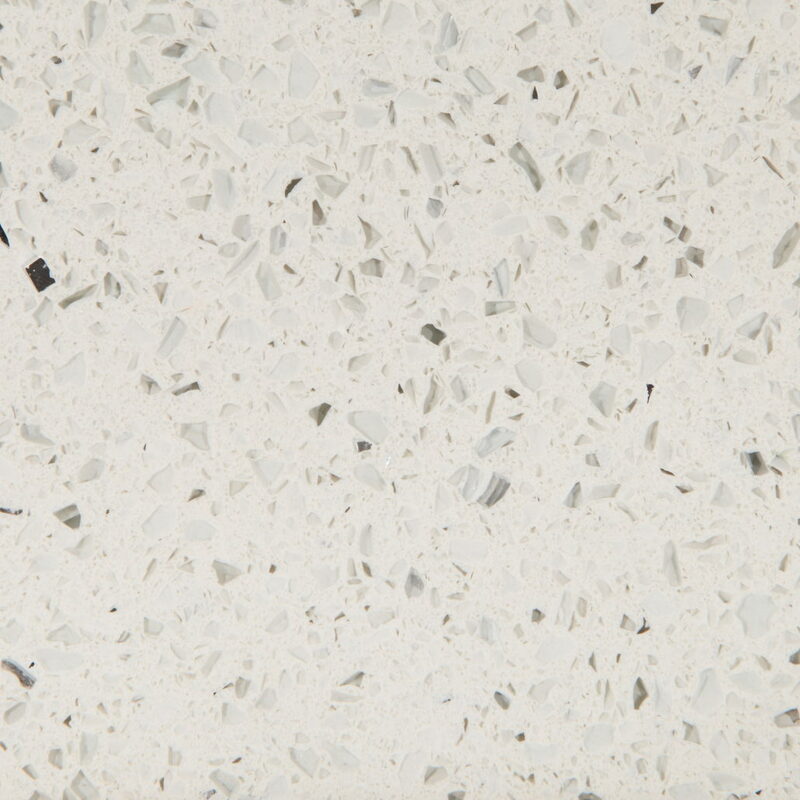 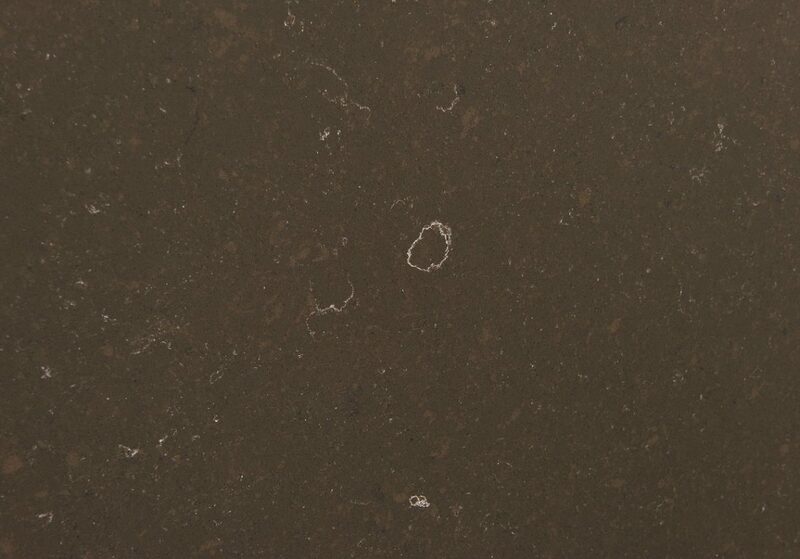 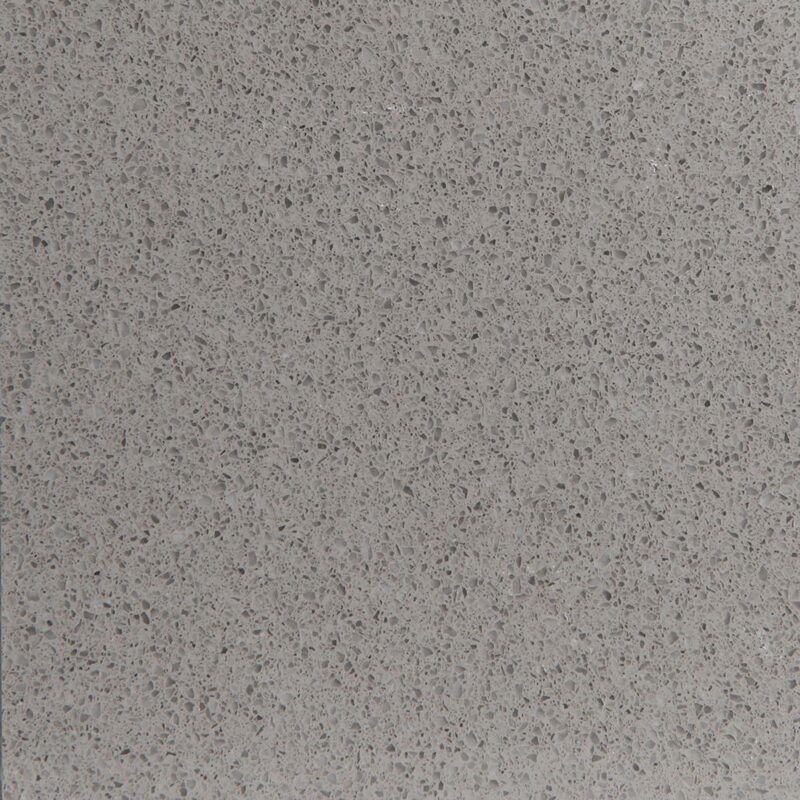 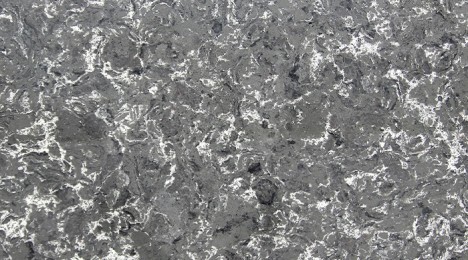 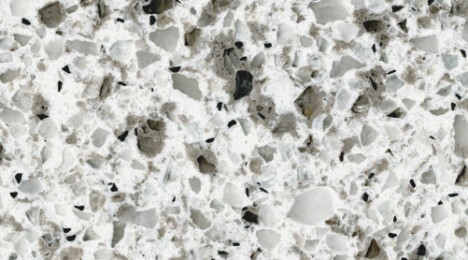 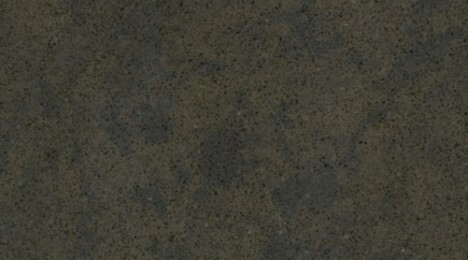 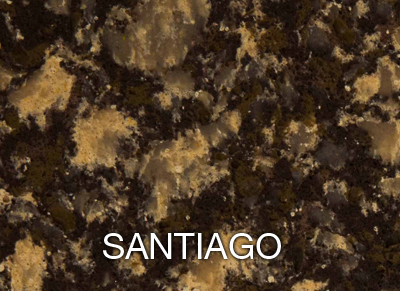 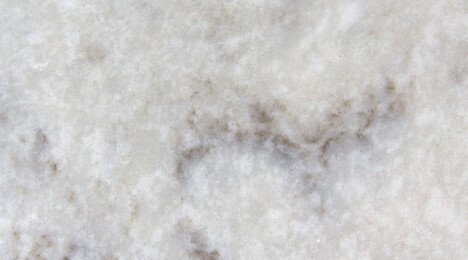 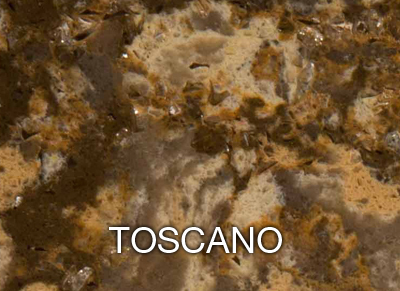 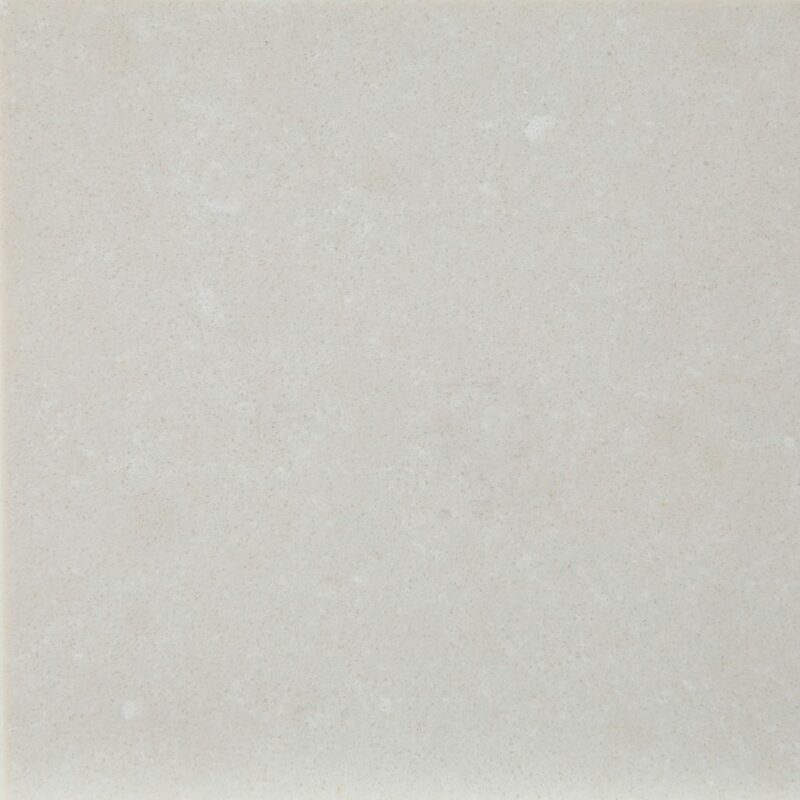 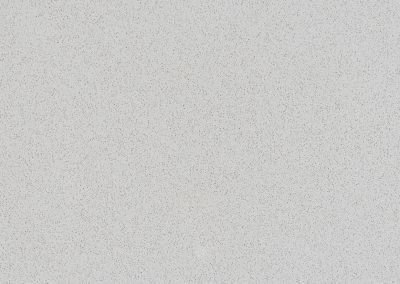 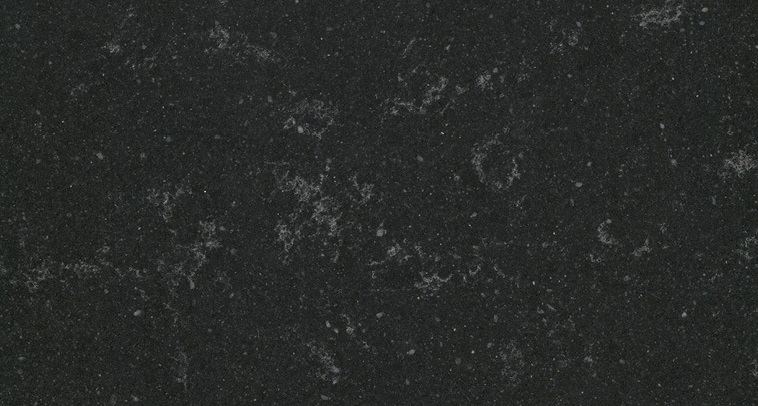 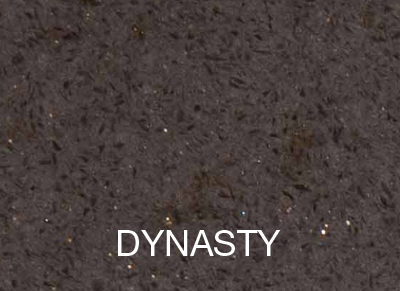 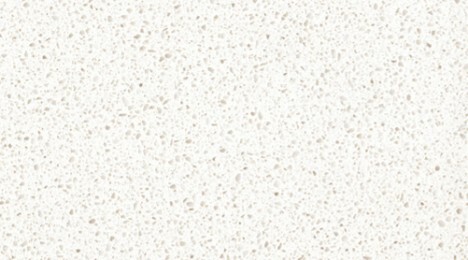 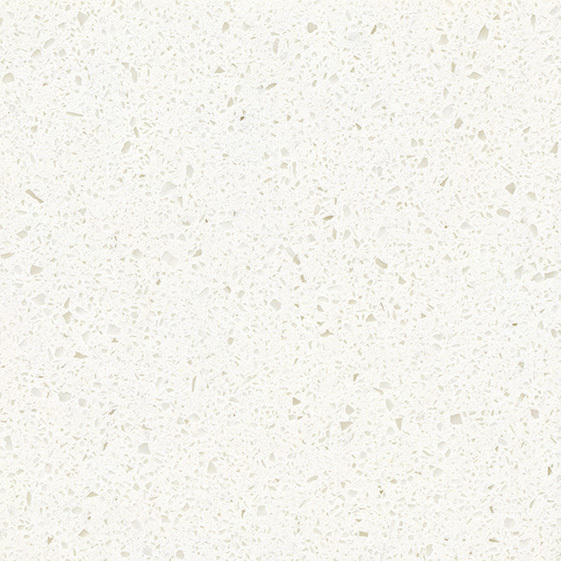 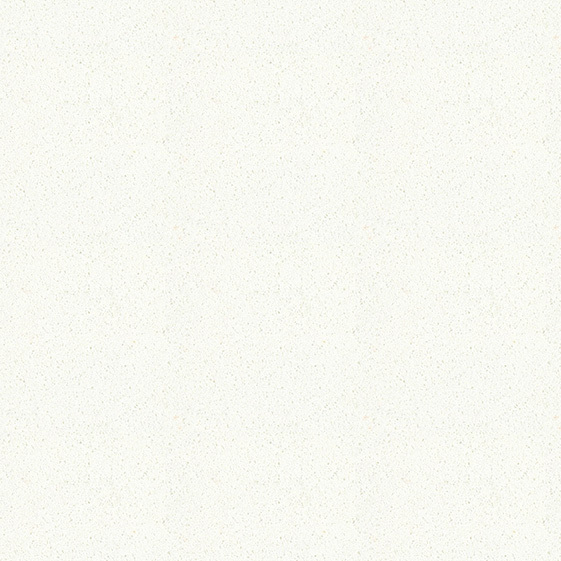 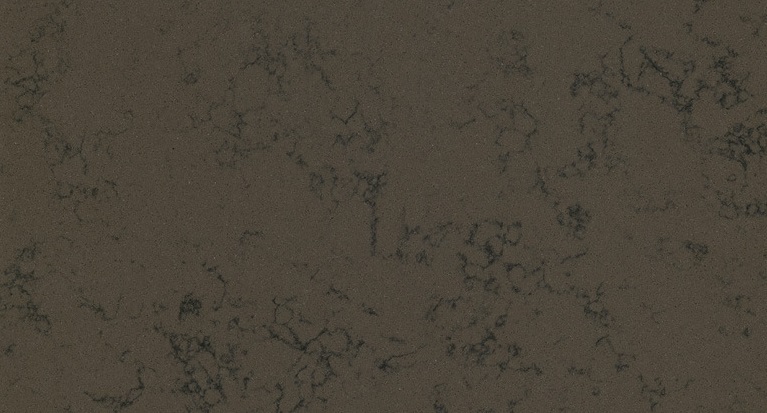 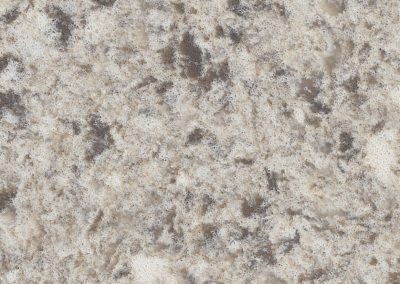 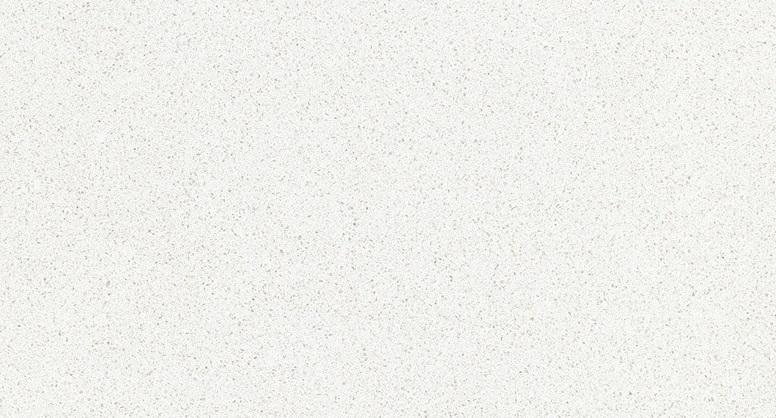  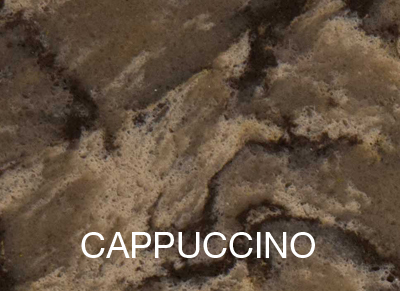 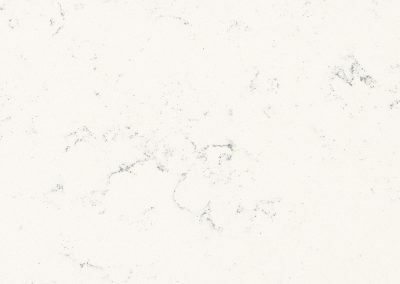 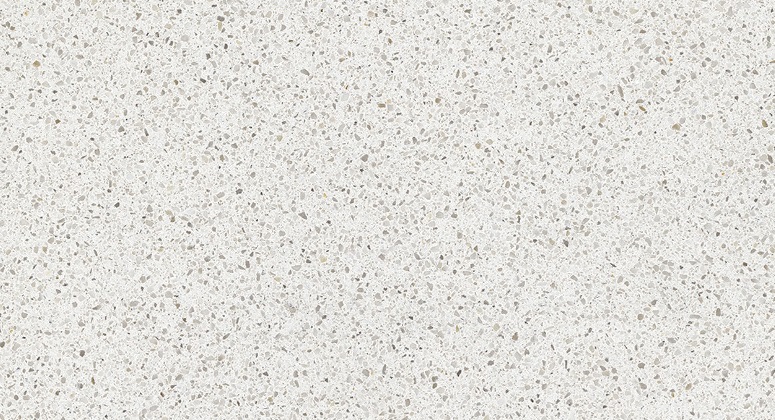 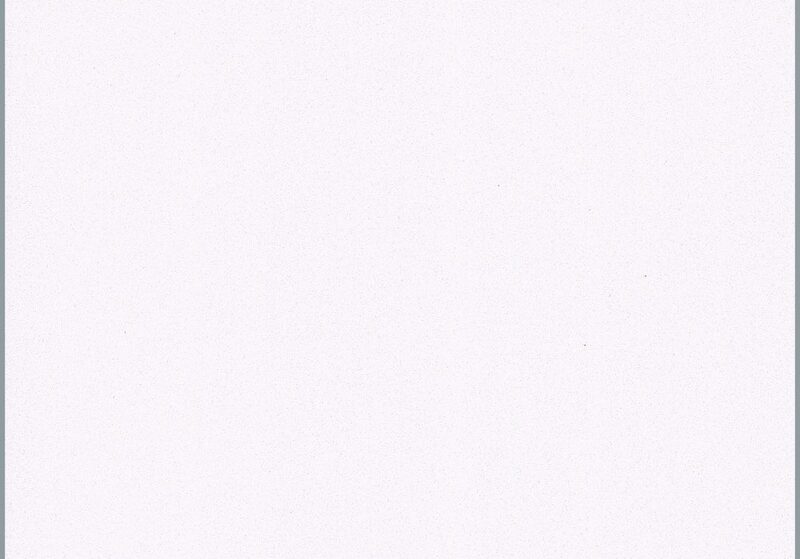 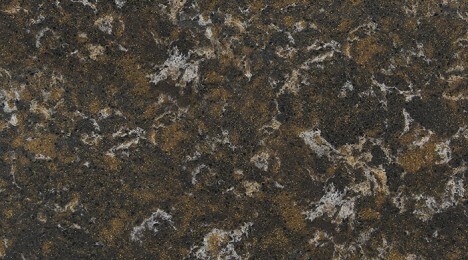 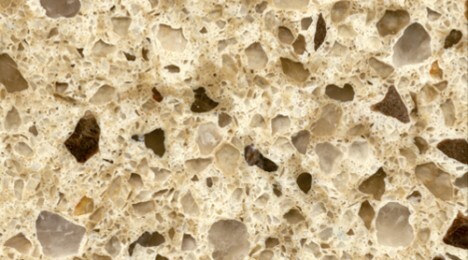 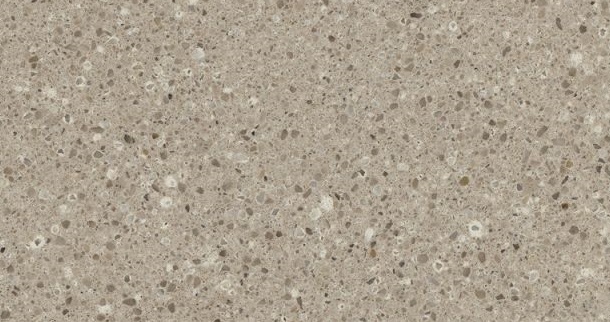 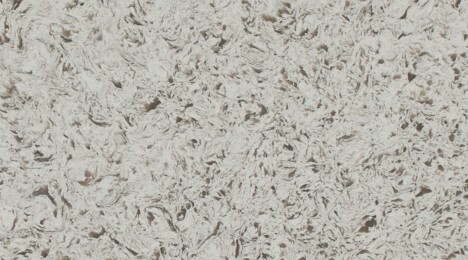  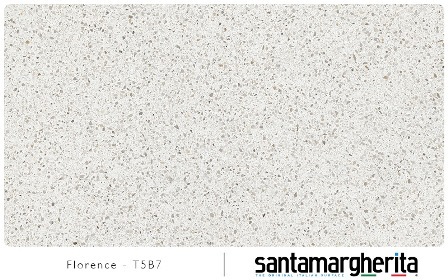 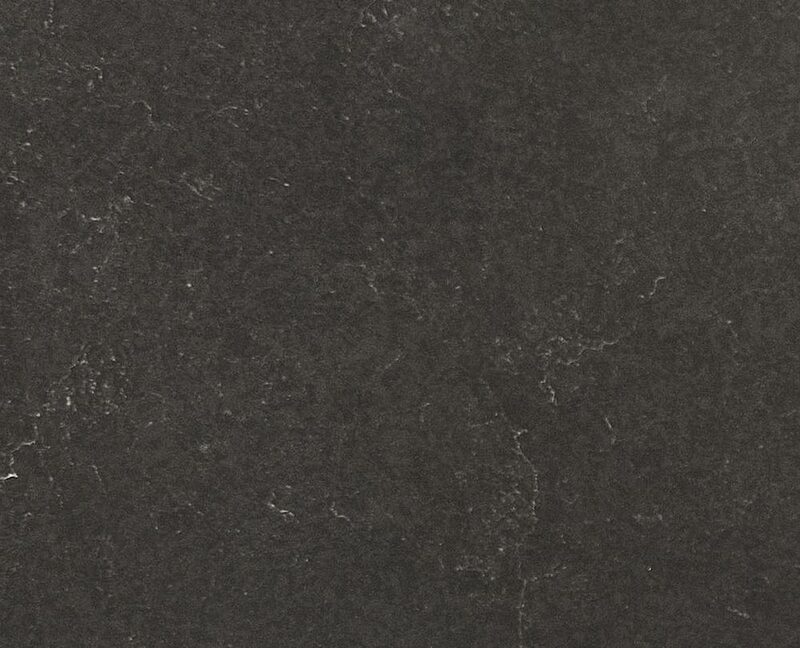 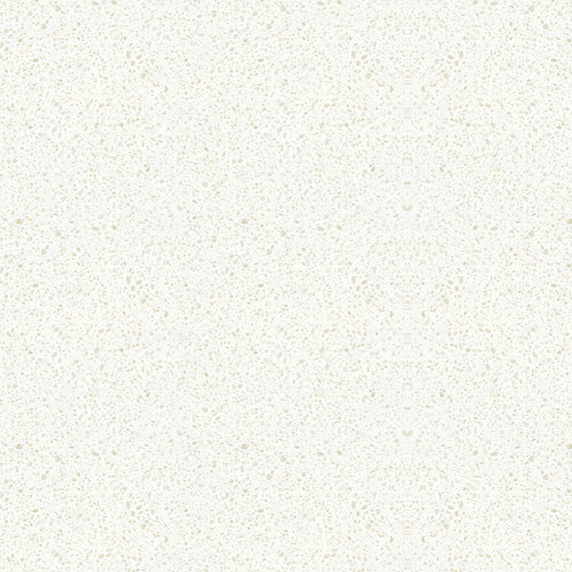 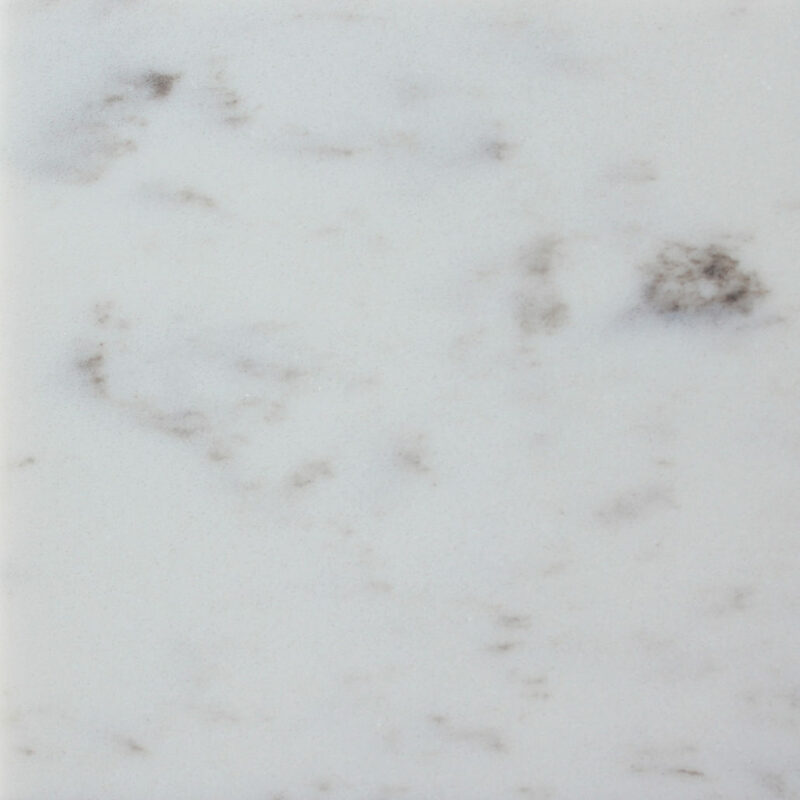 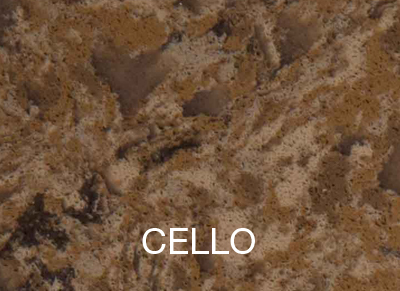 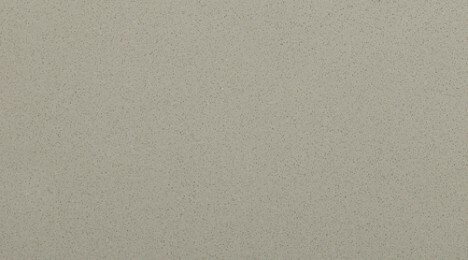 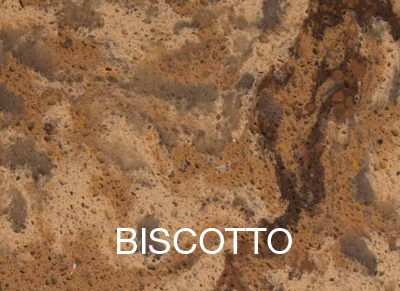 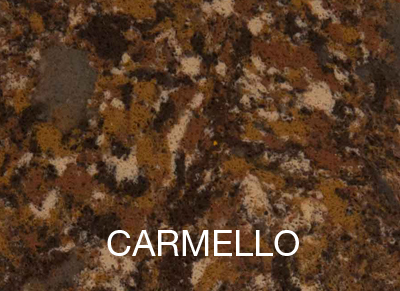 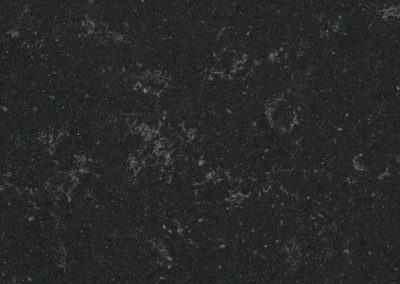 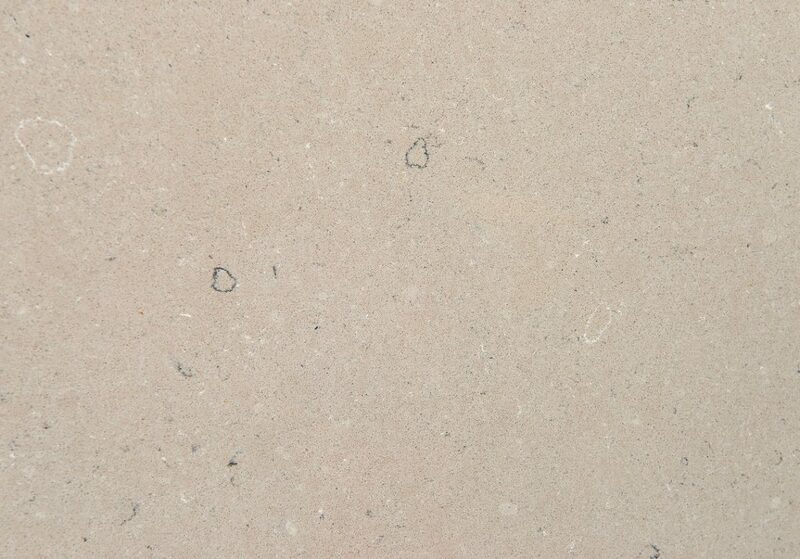 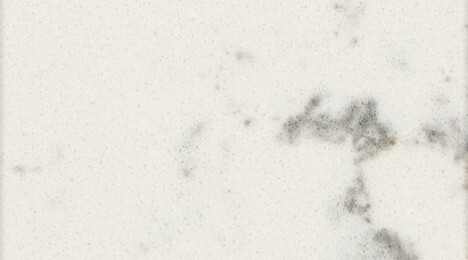 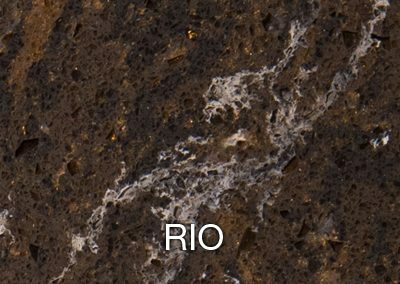 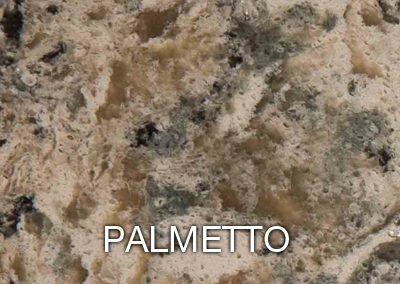 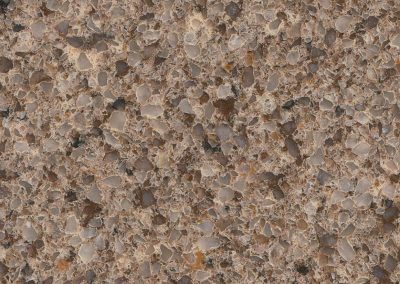 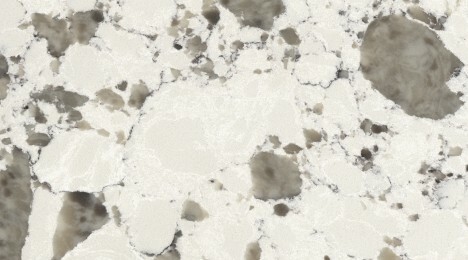 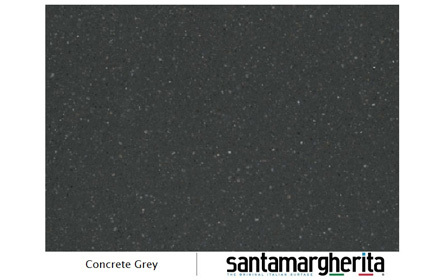 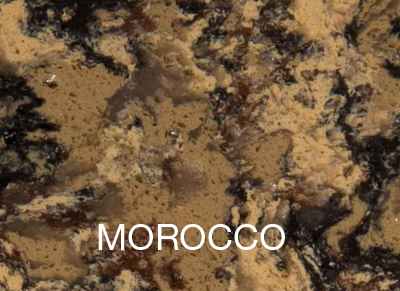 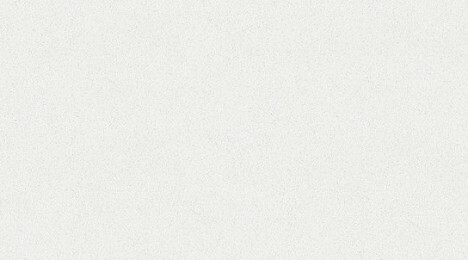 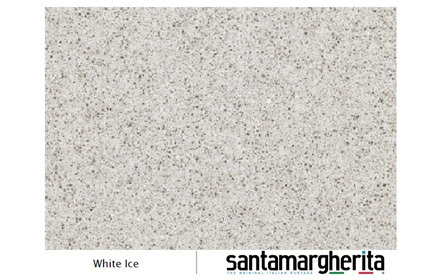 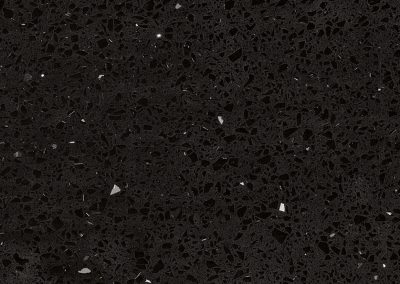 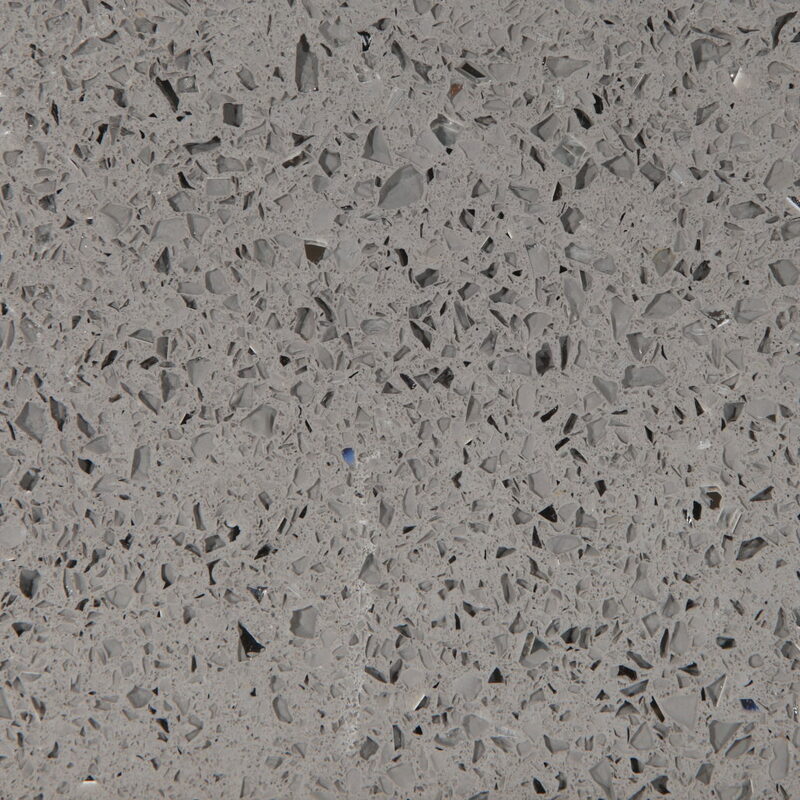 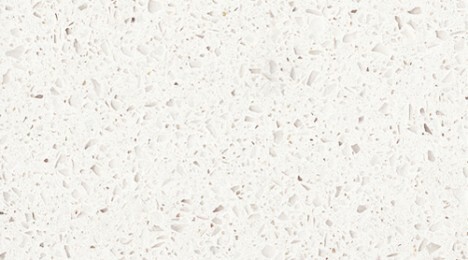 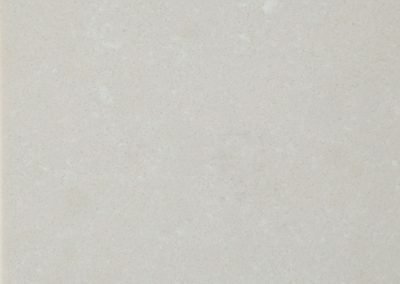 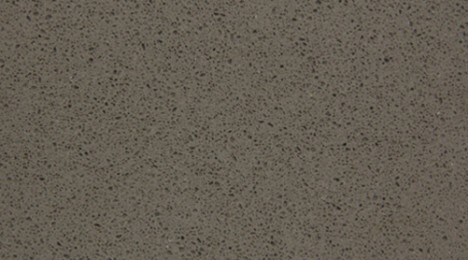 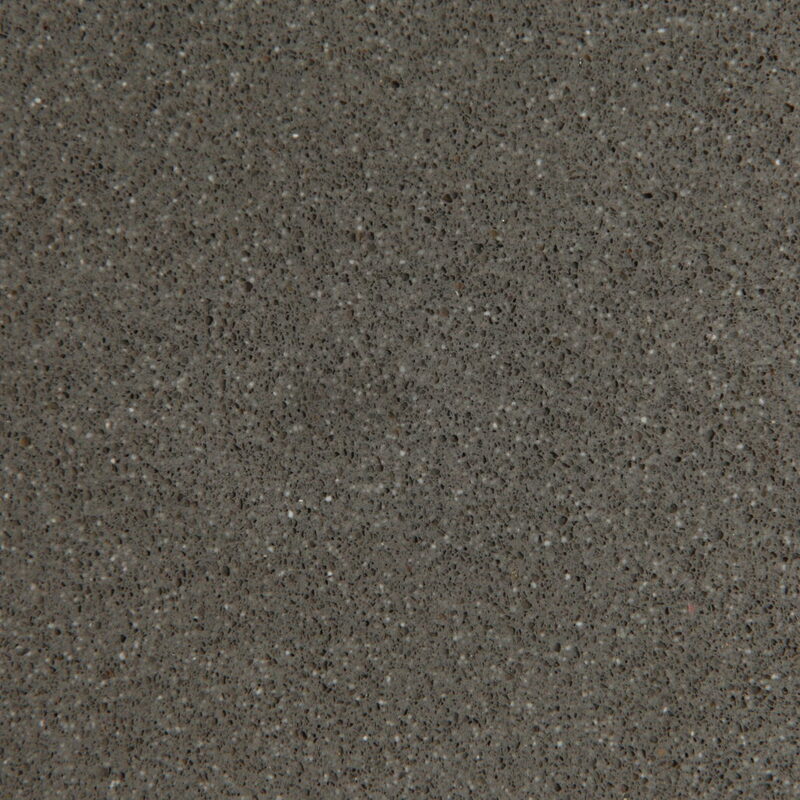 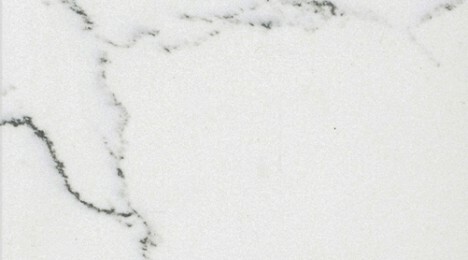 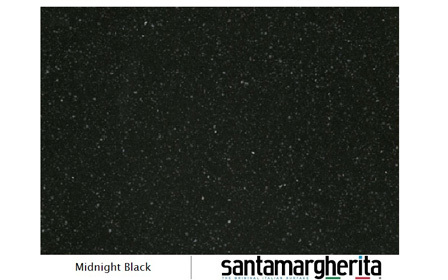 Quartz countertops are the bold beauty of countertops on kitchen cabinets, bath cabinets, and vanities. 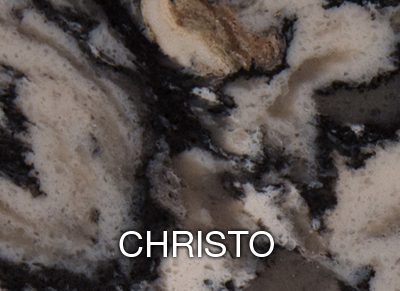 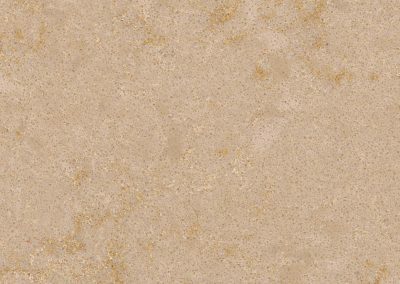 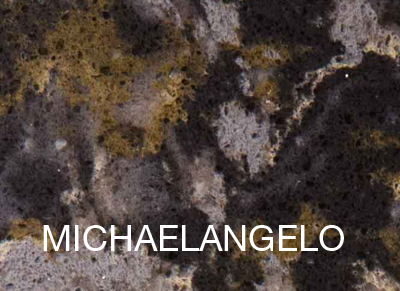 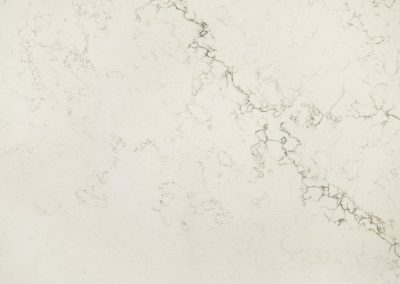 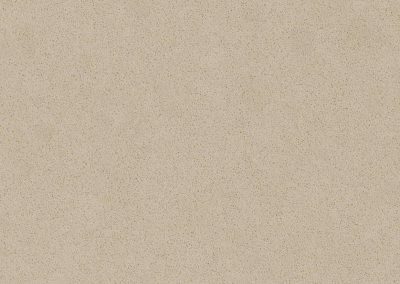 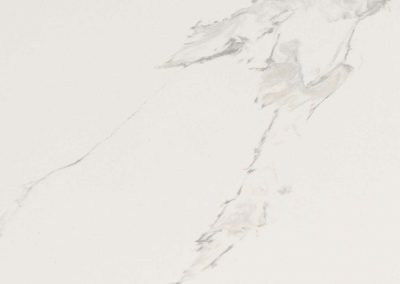 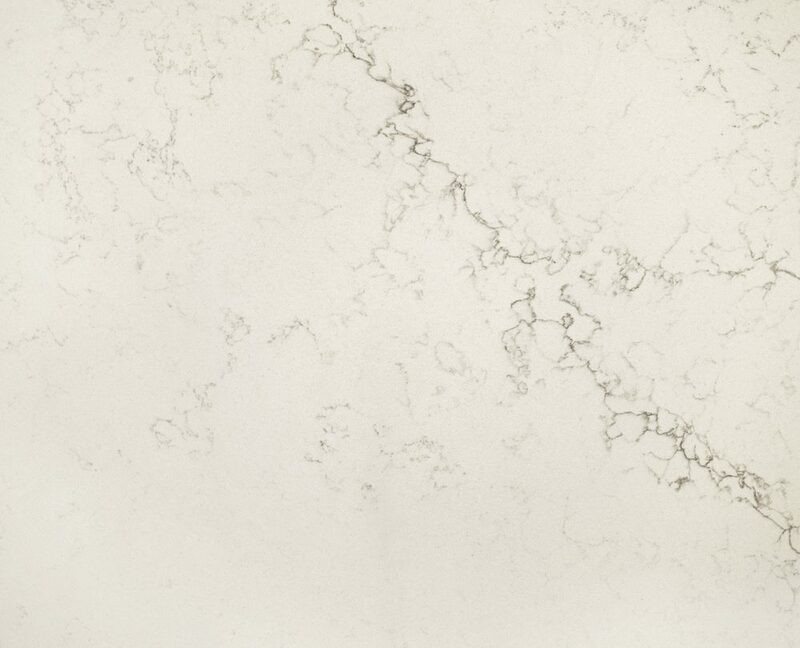 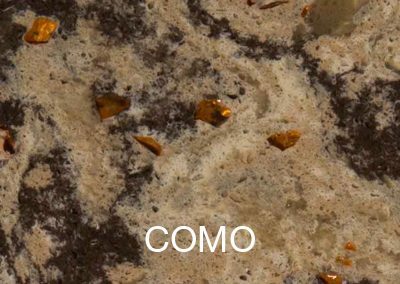 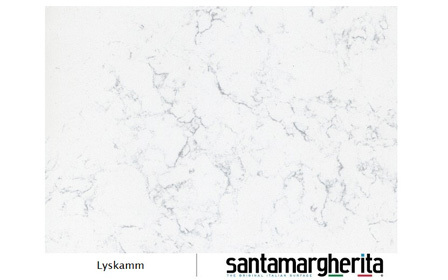 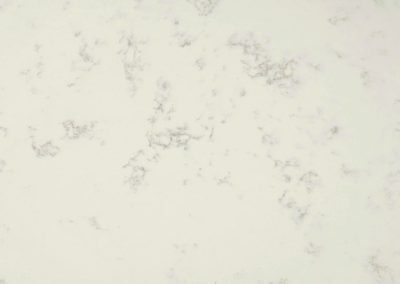 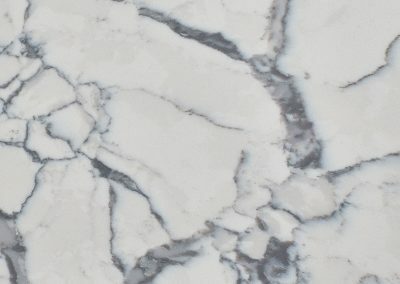 The countertop slabs are made from one of the hardest minerals on the planet, and they bear a rich, lustrous allure, which makes them all the more desirable. 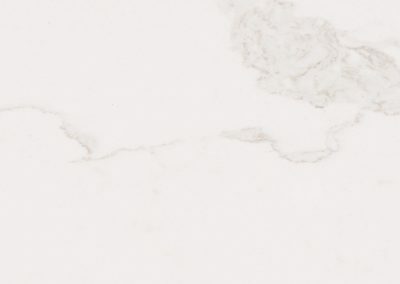 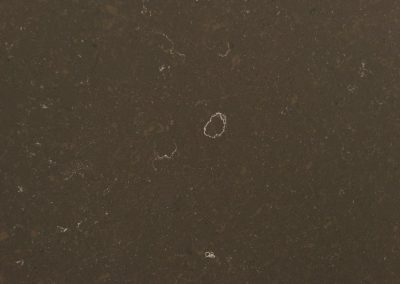 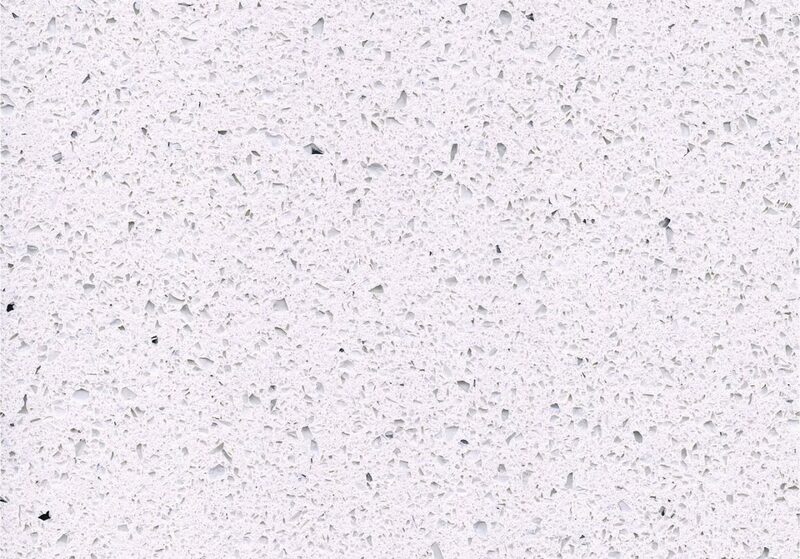 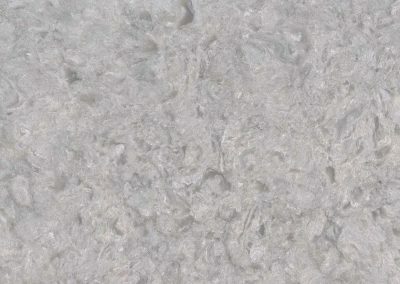 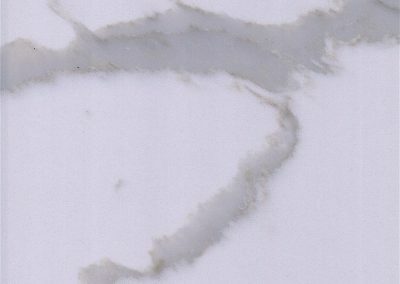 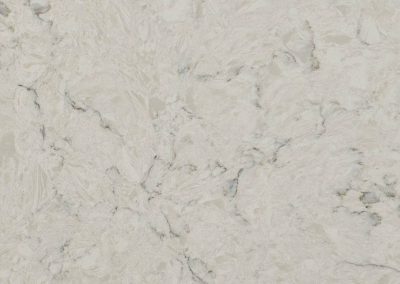 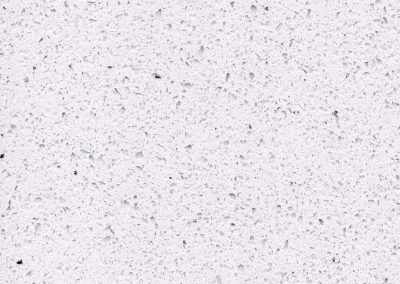 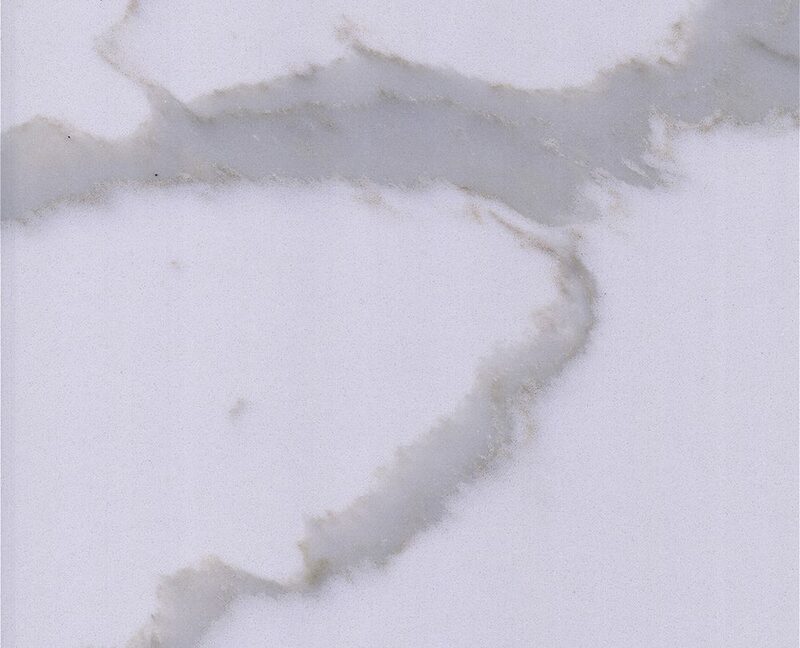 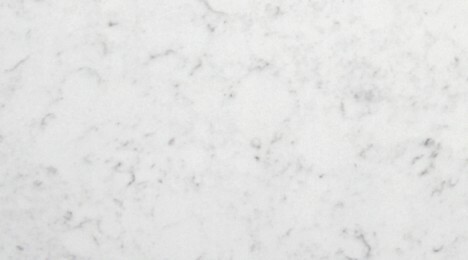 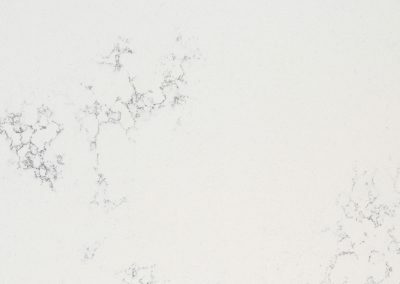 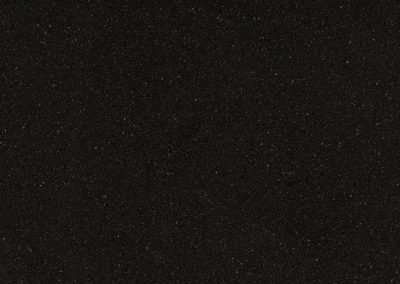 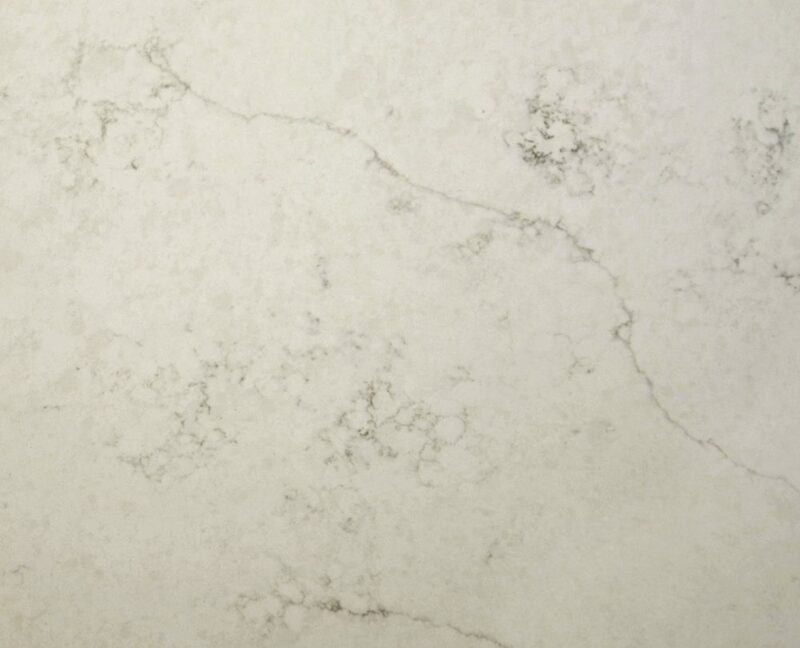  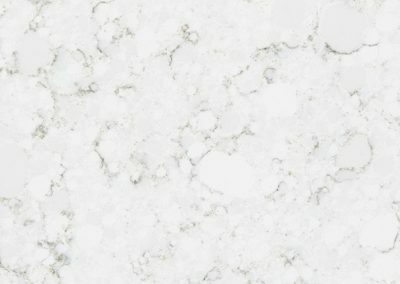 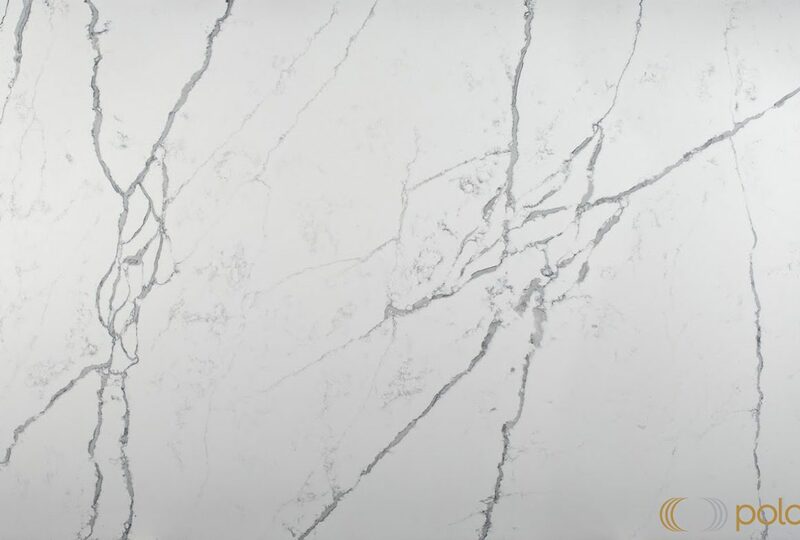 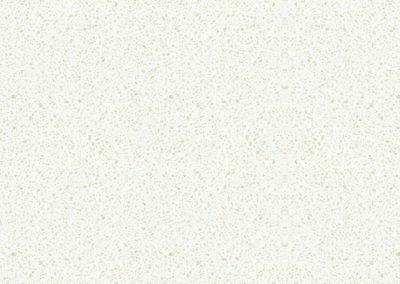 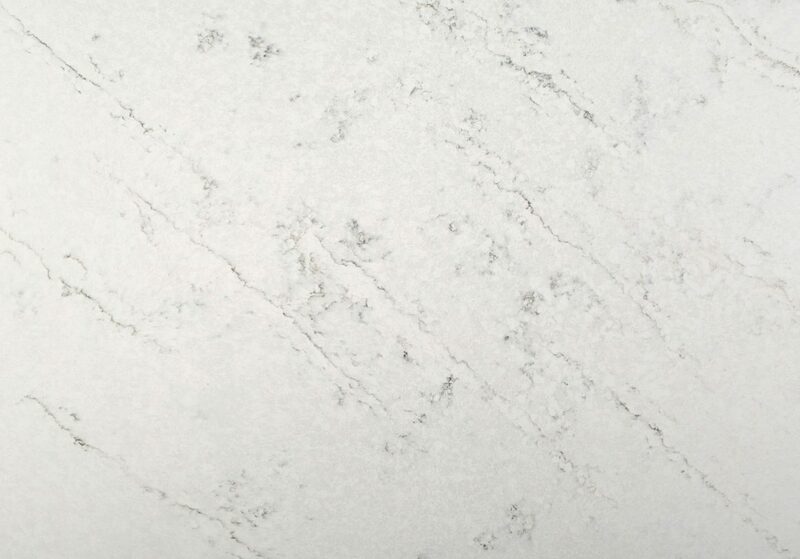 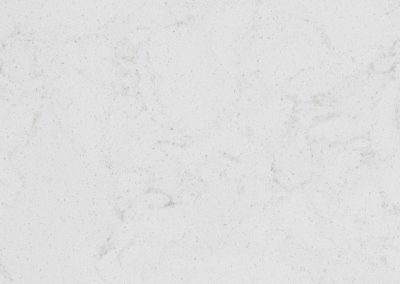 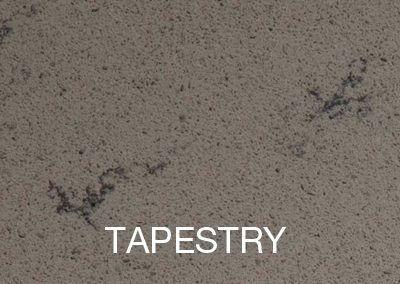 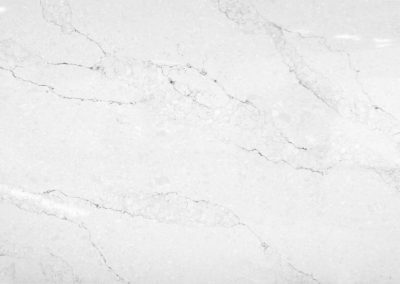 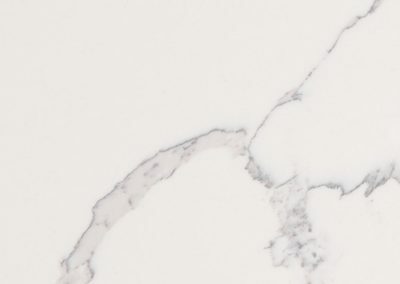 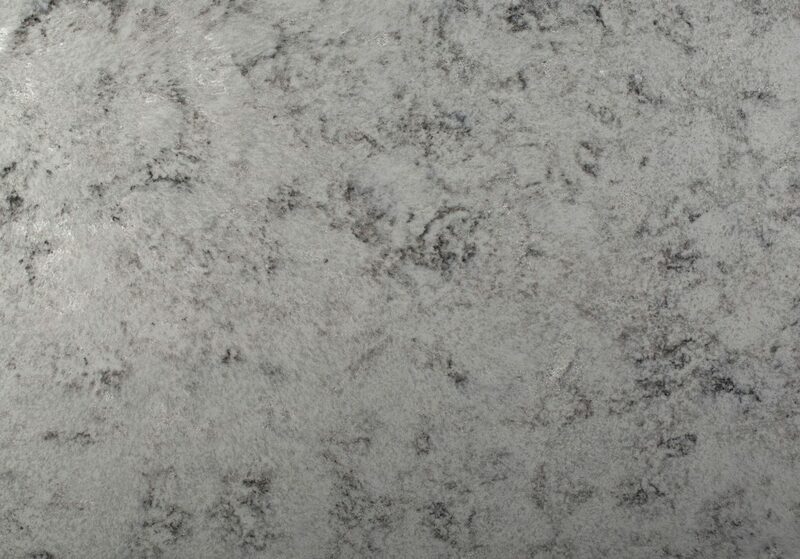 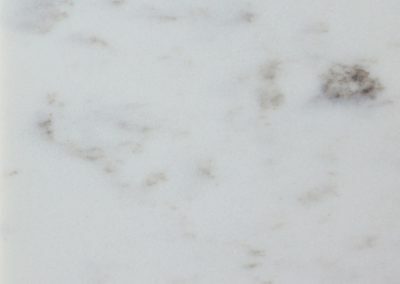 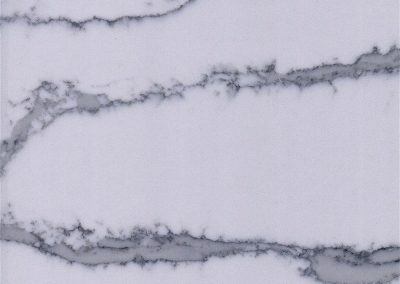 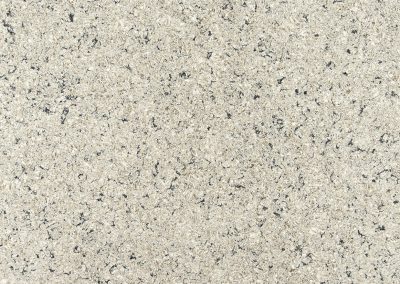 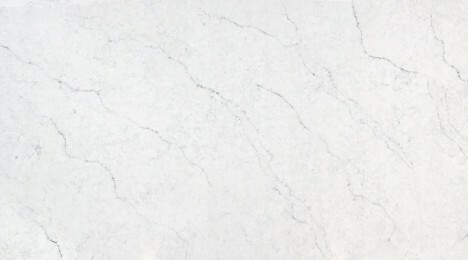 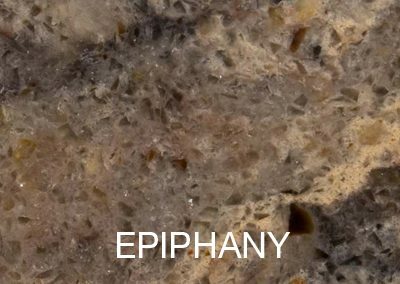 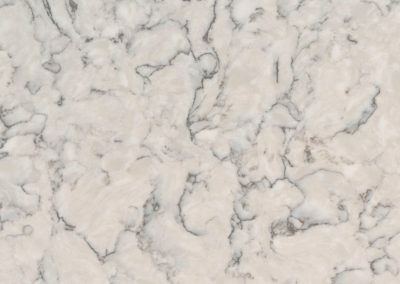 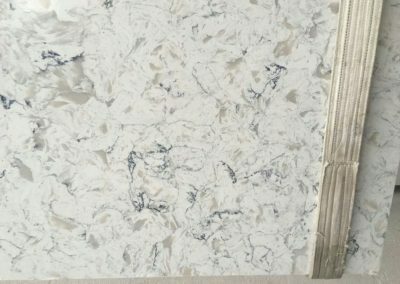 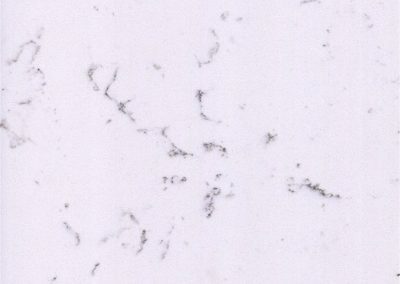 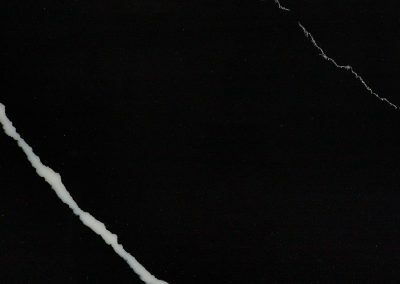 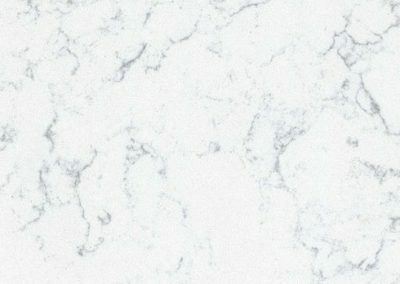 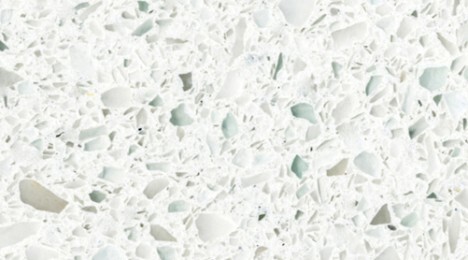 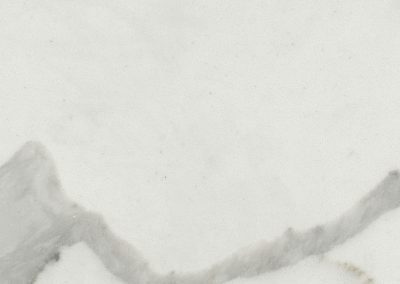 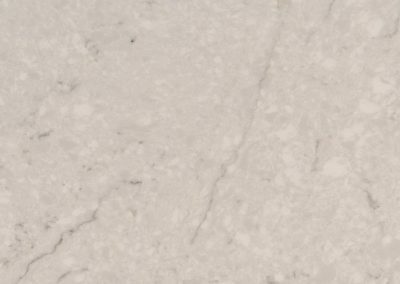 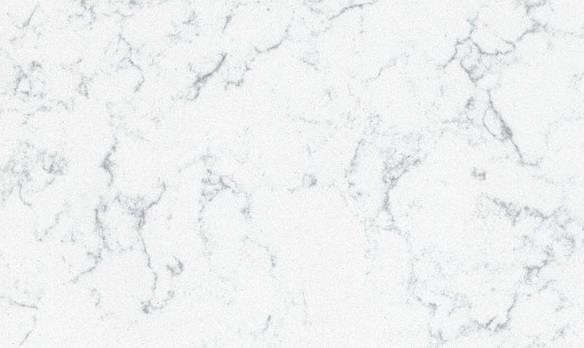 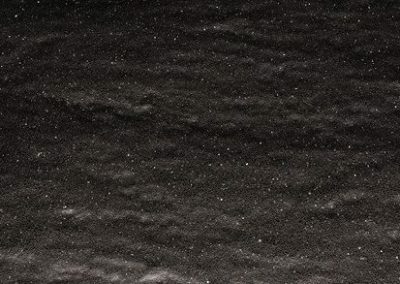 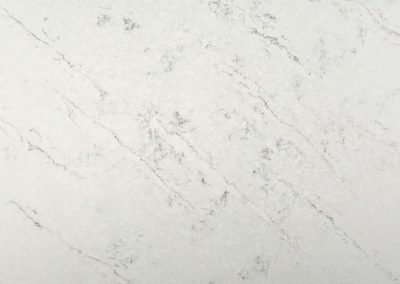 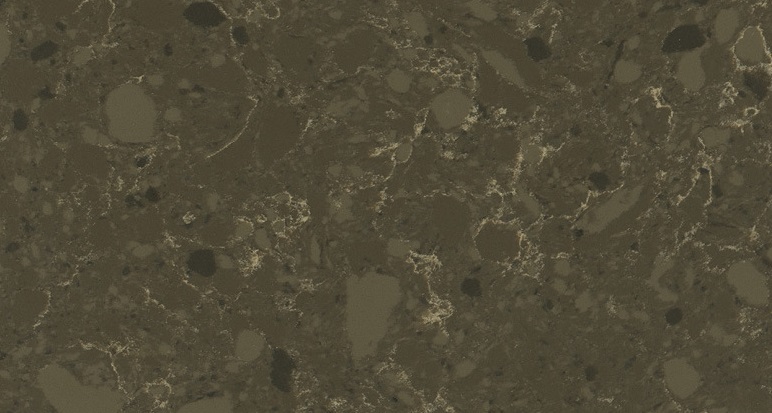 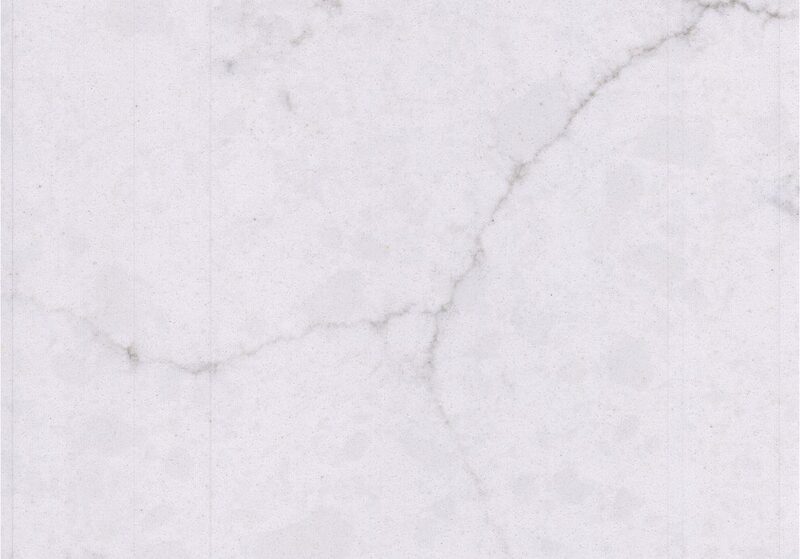 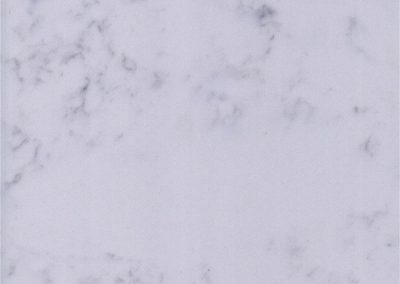 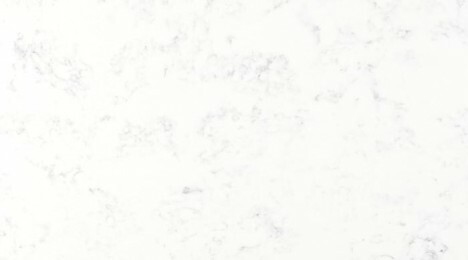 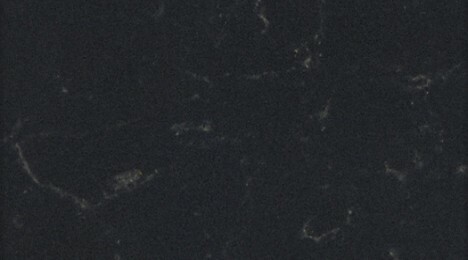 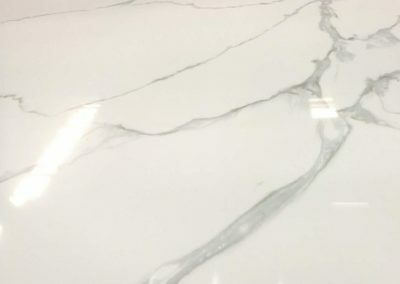 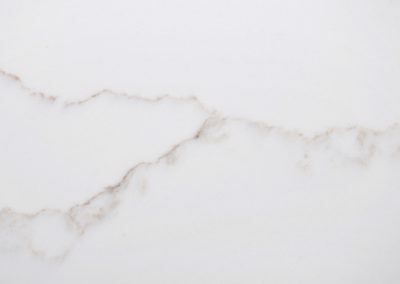 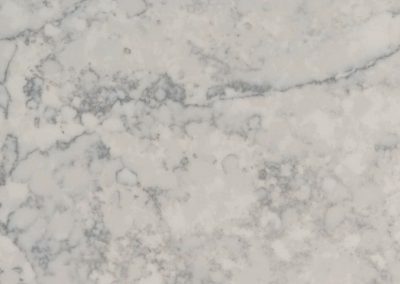 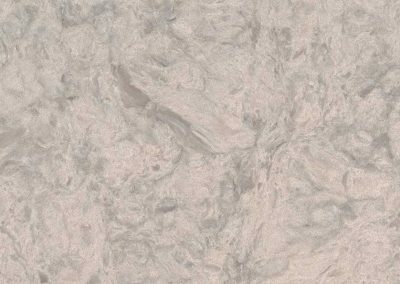 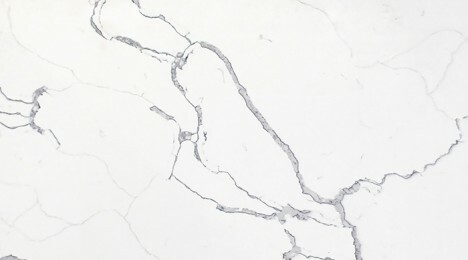 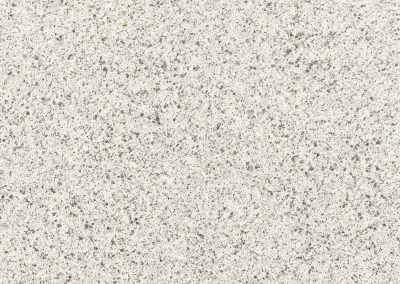 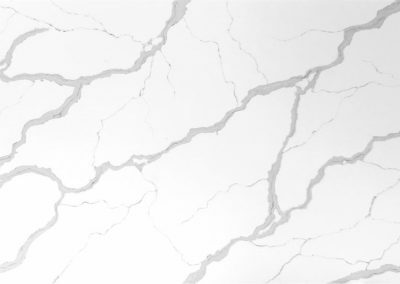 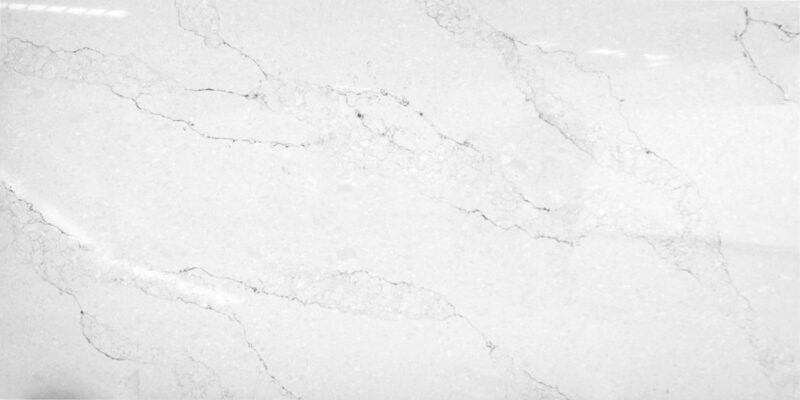 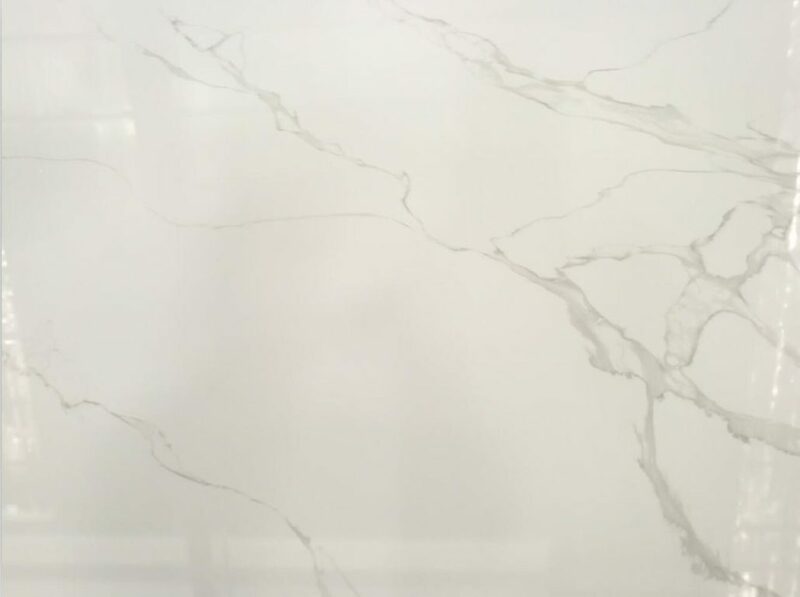 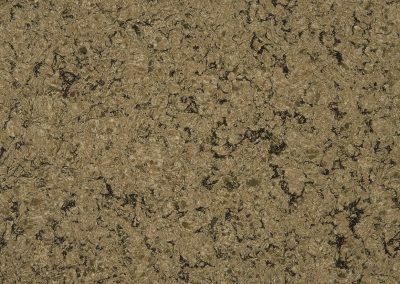 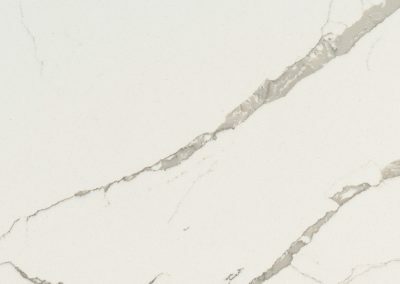 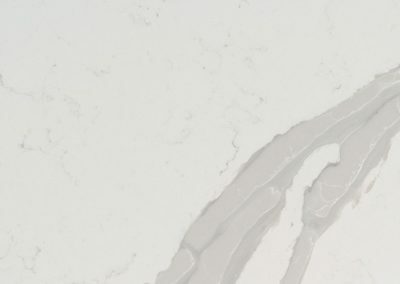 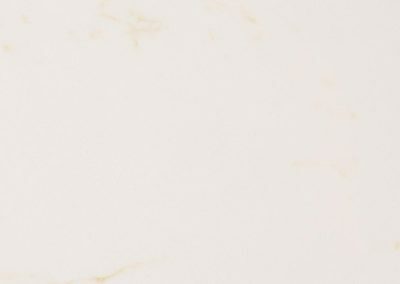 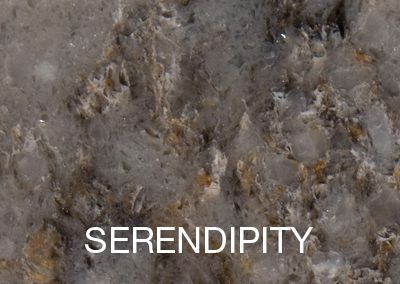 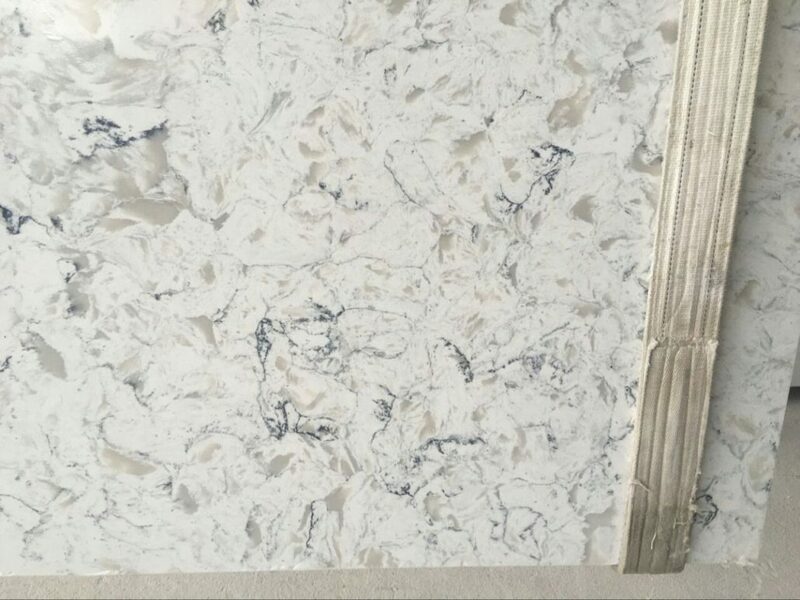 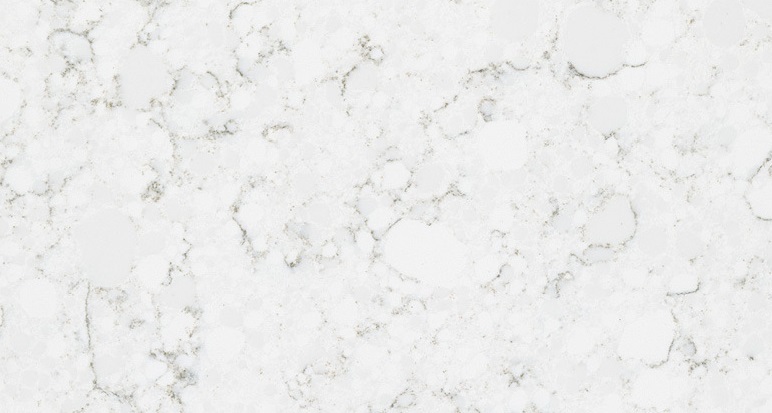 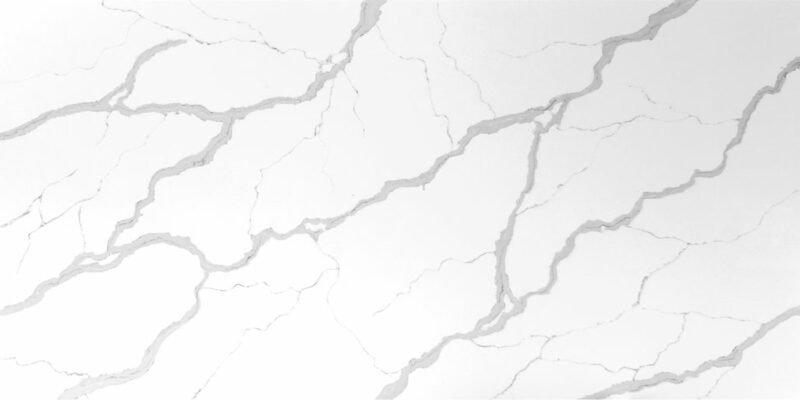 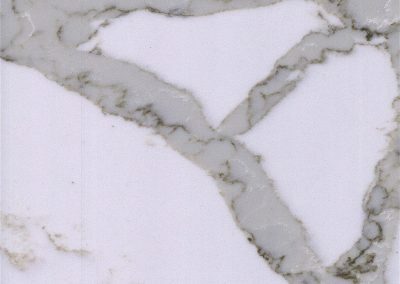 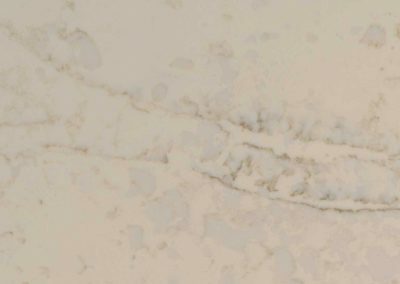 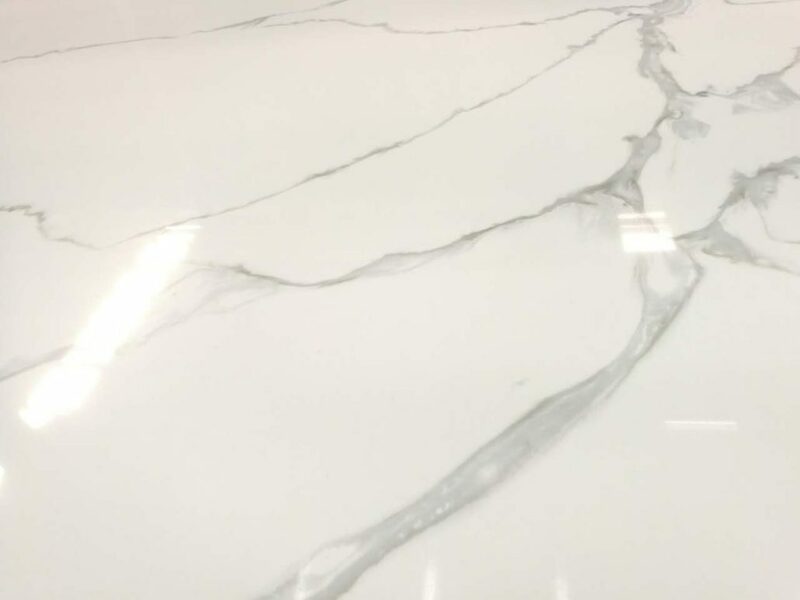 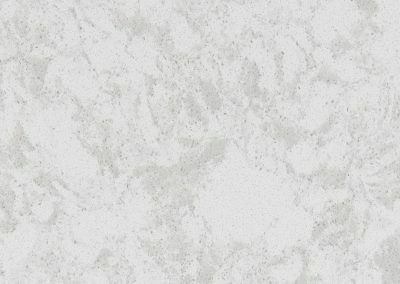 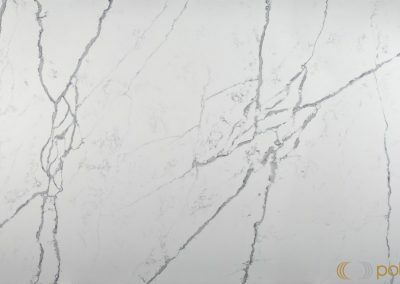 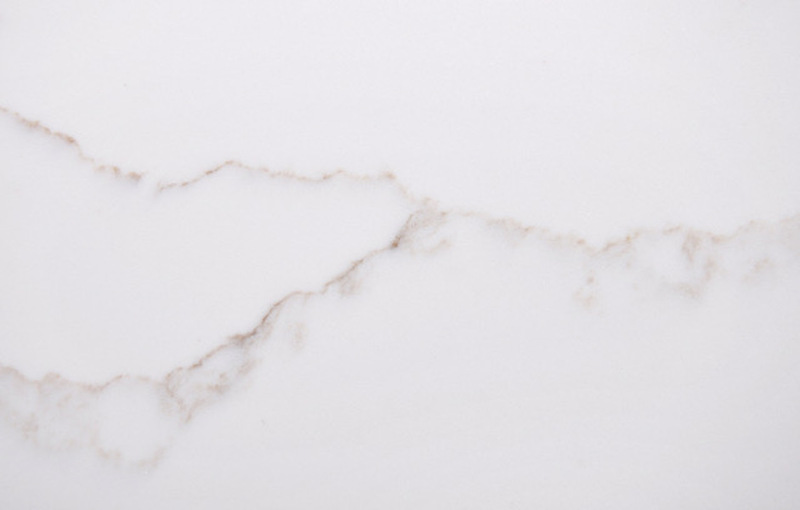  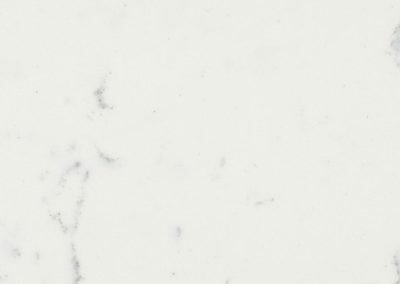 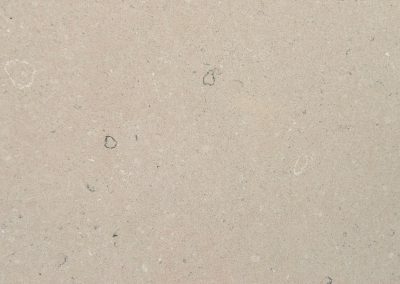 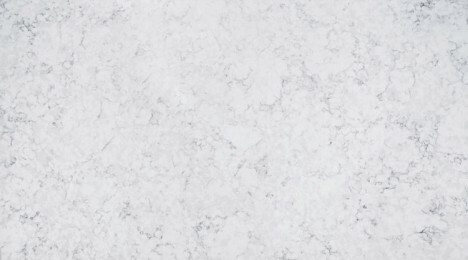 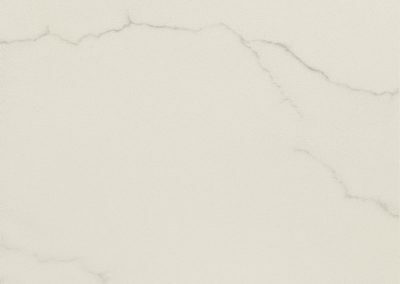 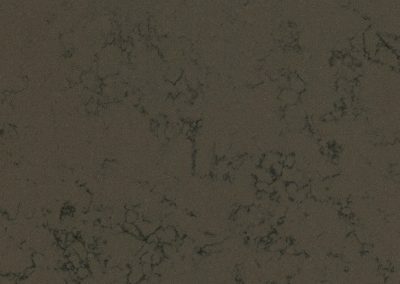 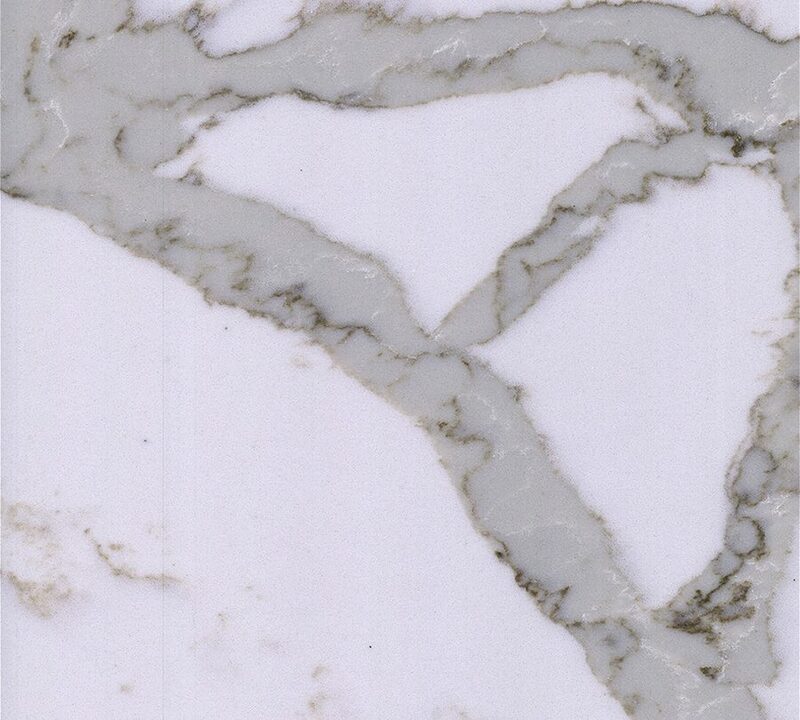 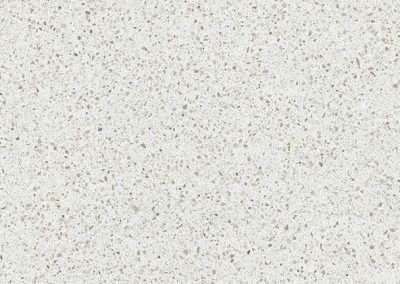 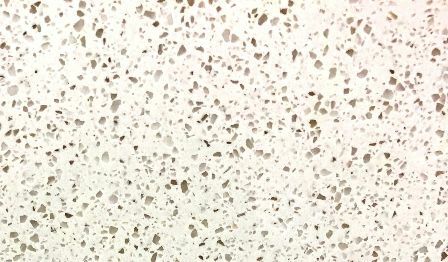 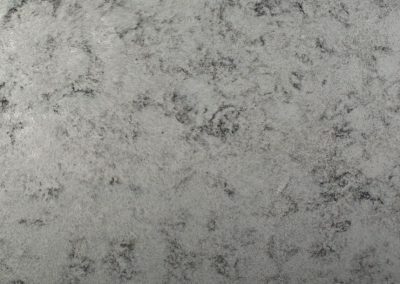 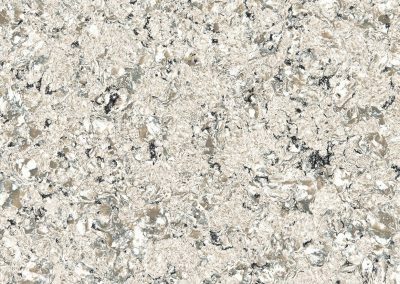 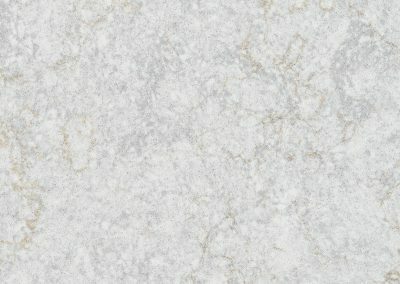 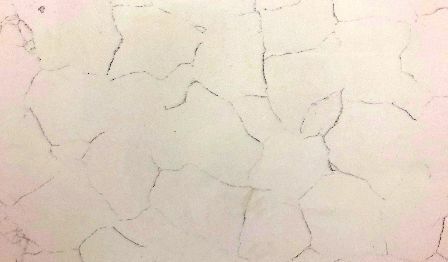 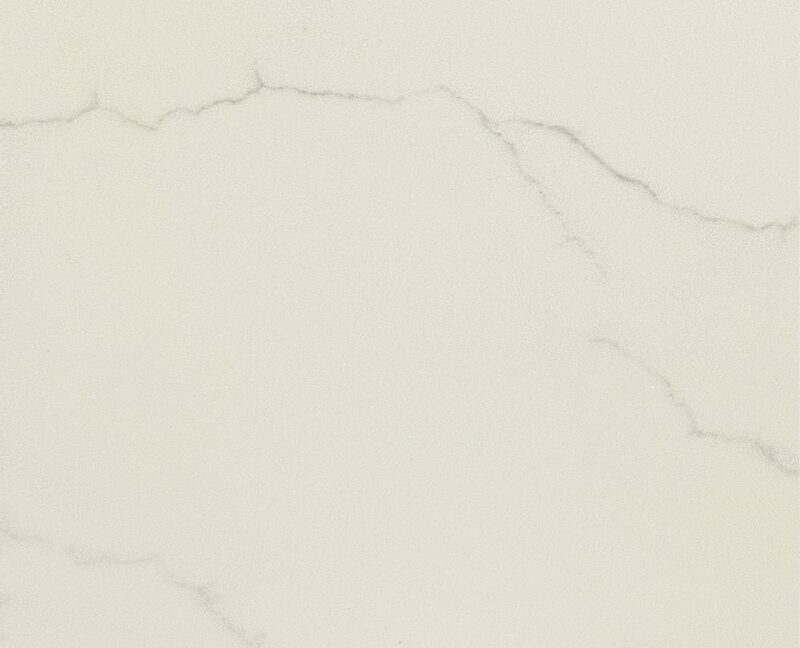 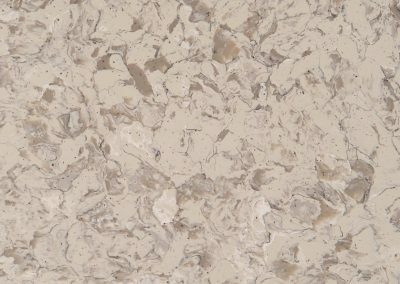 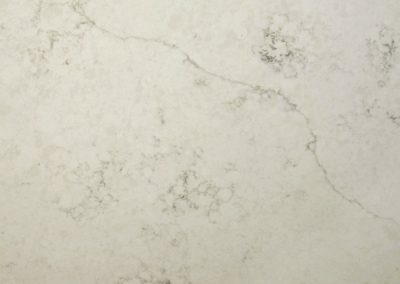 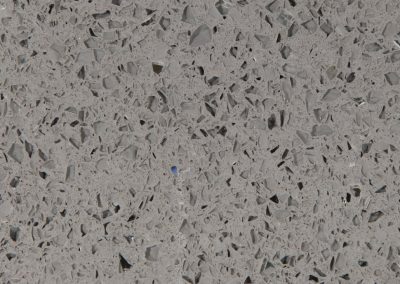 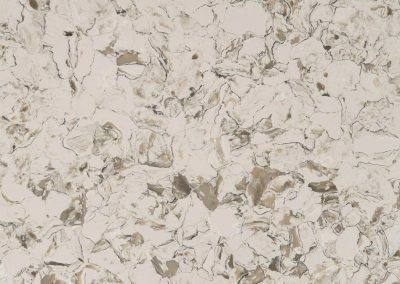 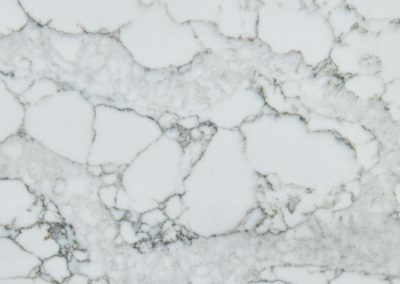 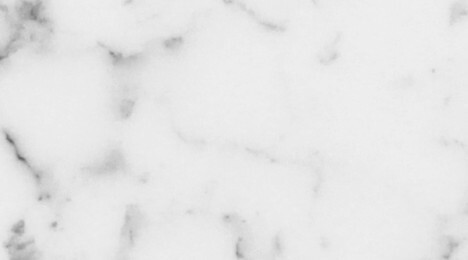 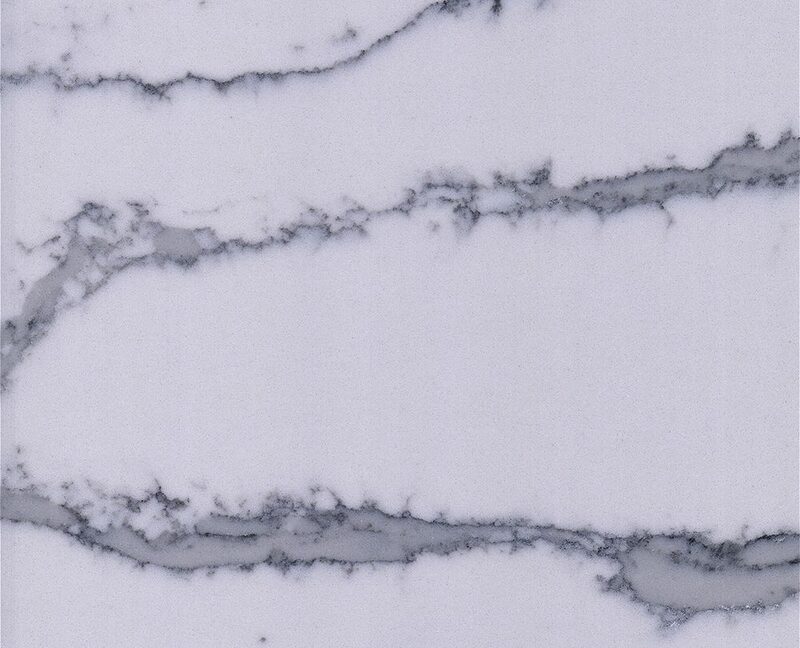 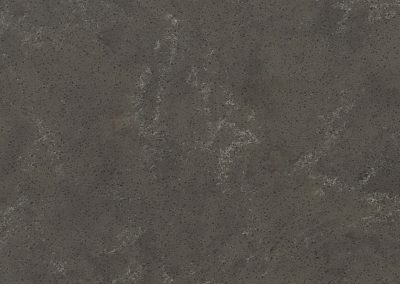 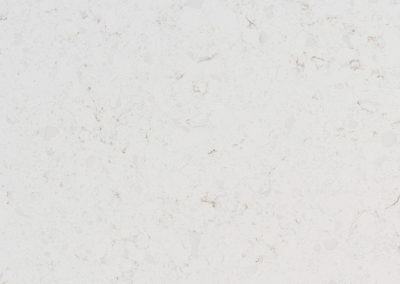 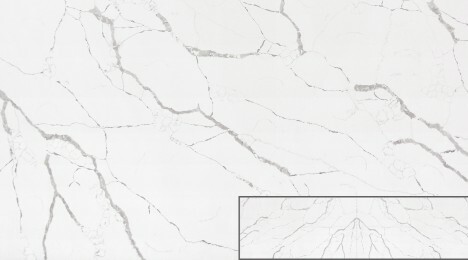 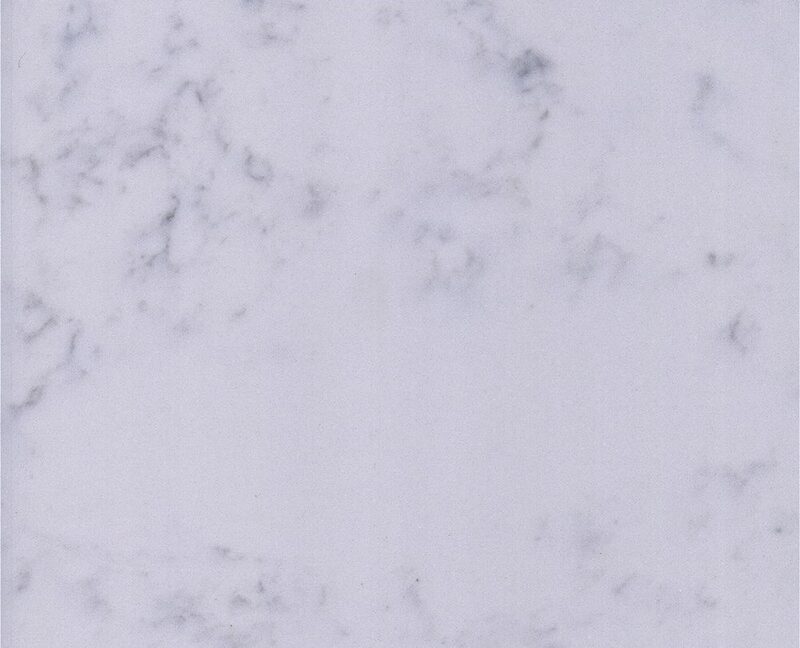 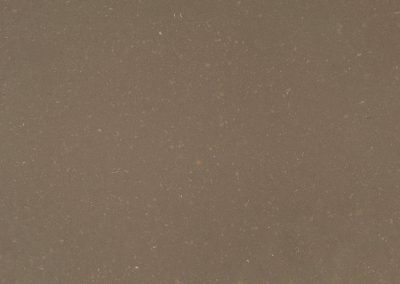 Interestingly, quartz countertop slabs are never 100% quartz; they are made from a blend of about 90% ground quartz rocks with crushed up small remnants of marble, granite, enhanced with the recycled wastes like ceramic, silica, mirrors, etc. 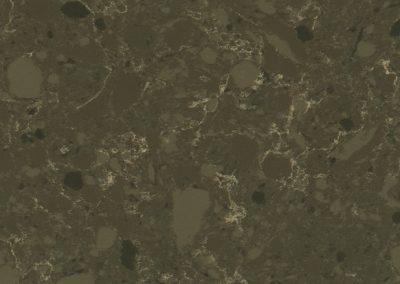 all mixed in a cement binder base. 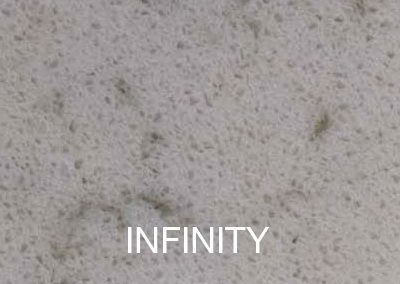 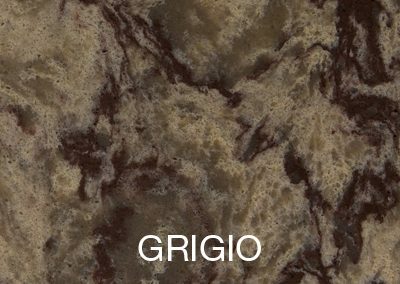  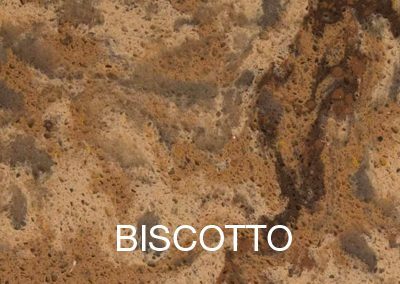 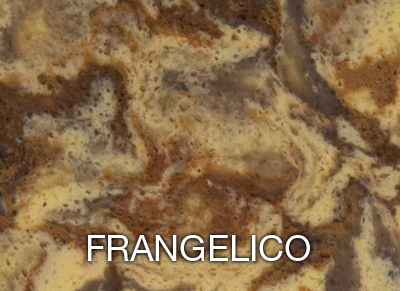 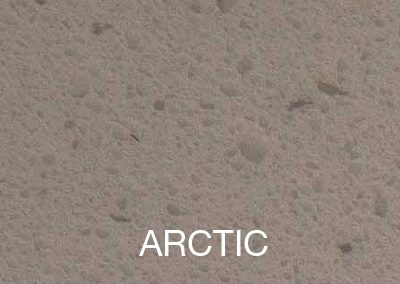 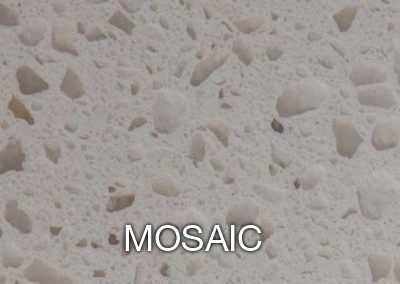 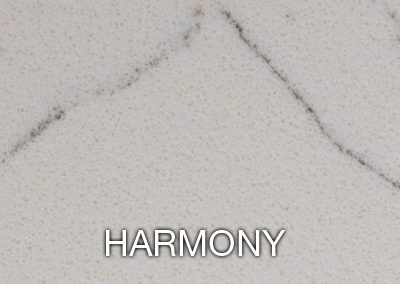 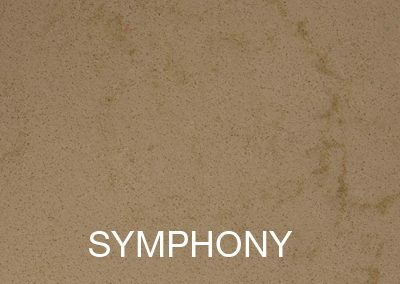 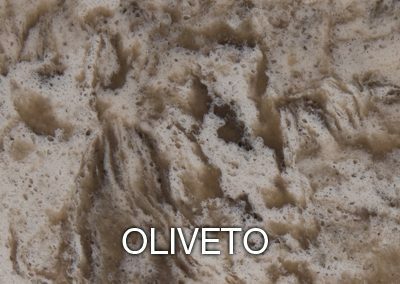 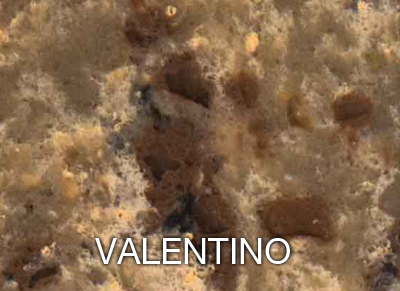  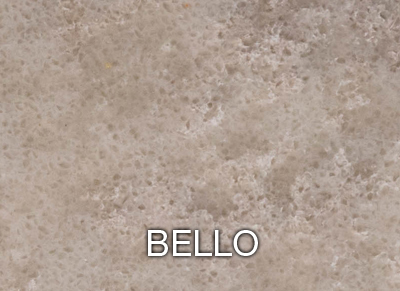 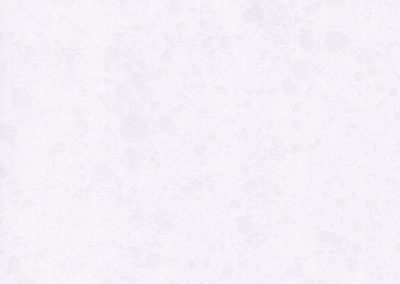 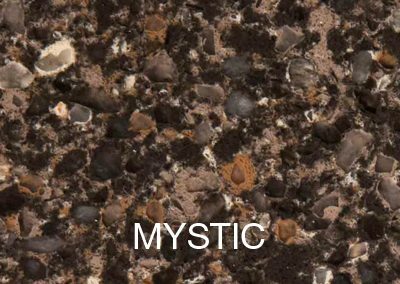 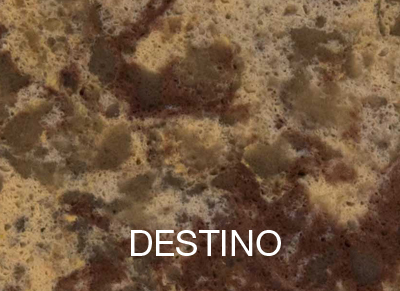 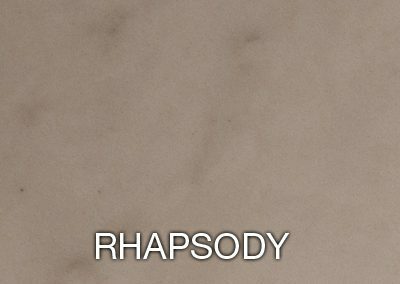 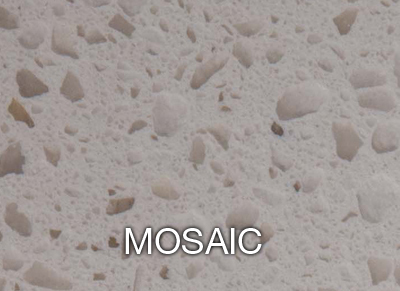 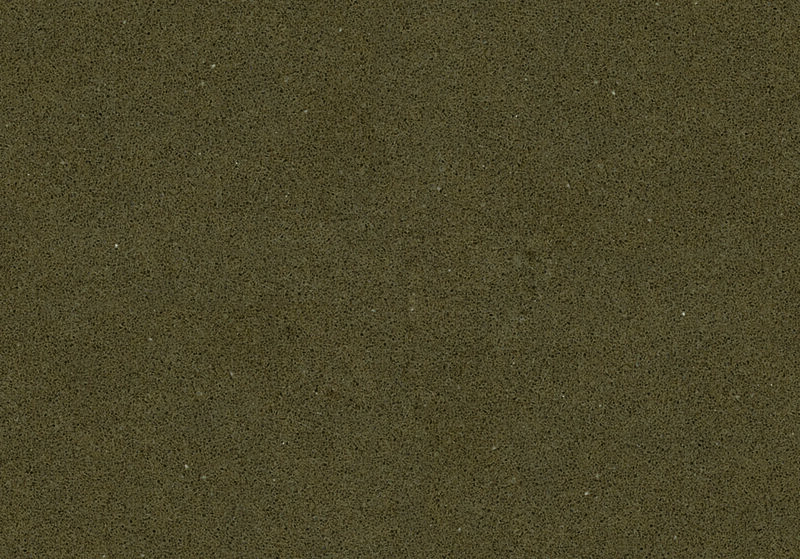 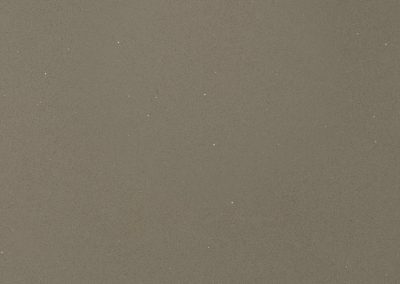 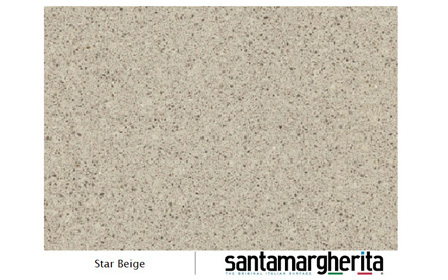 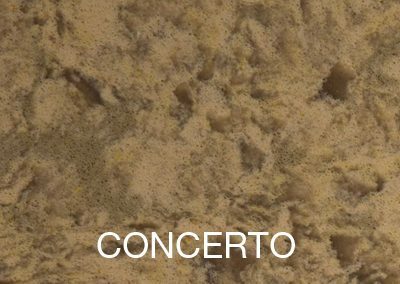 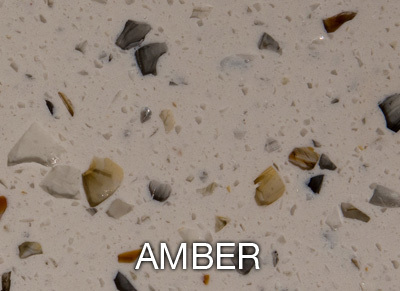 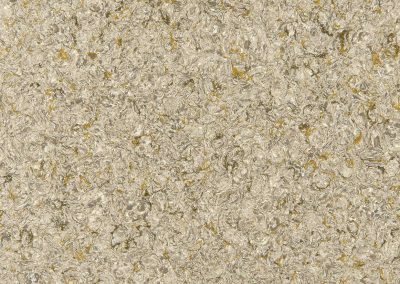 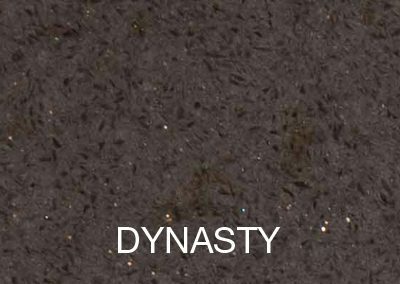 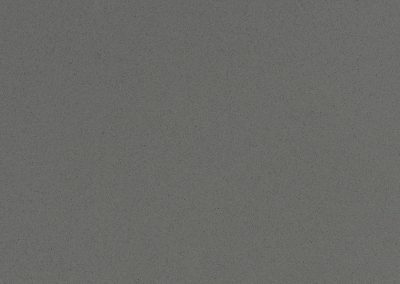 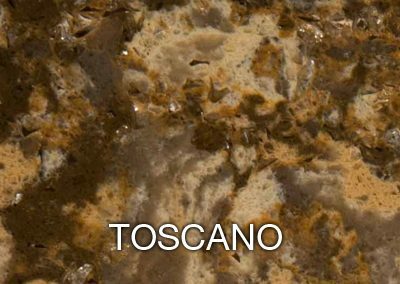 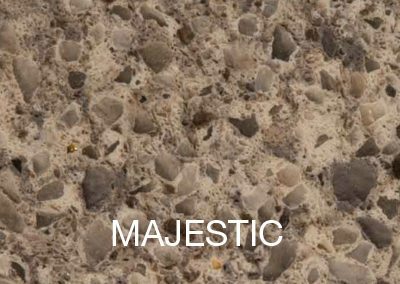 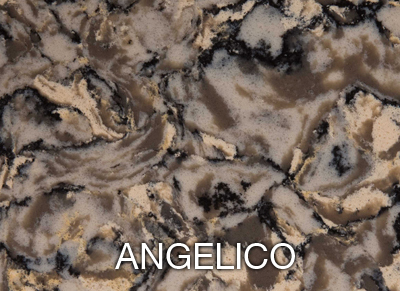 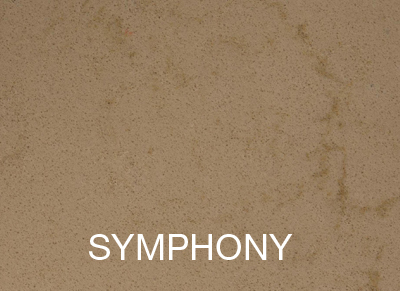 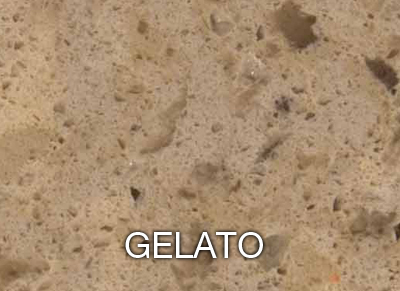 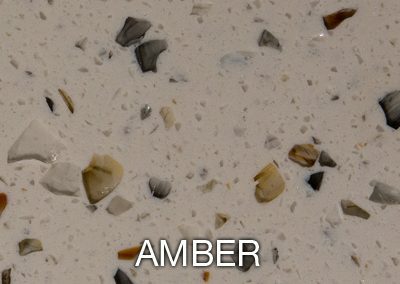 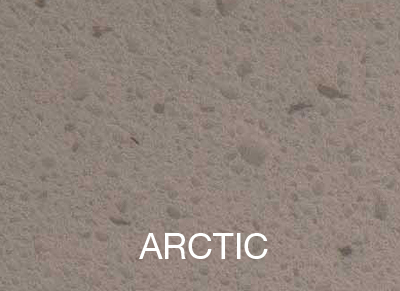 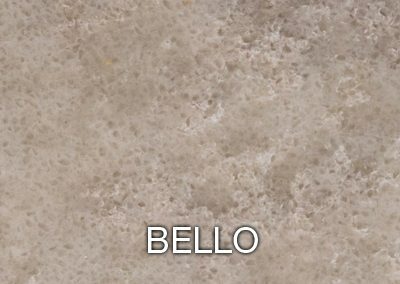  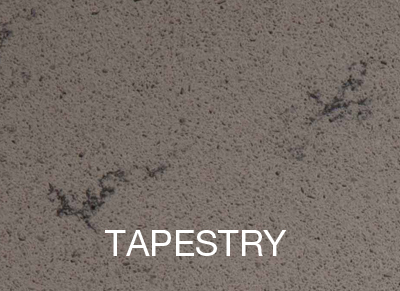  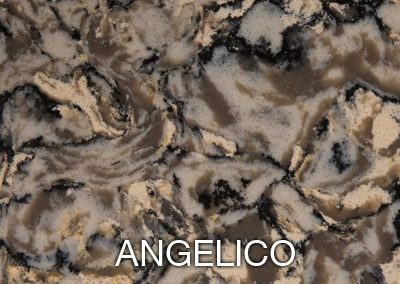 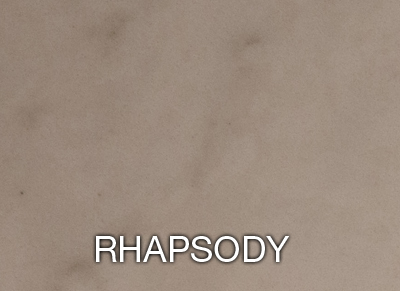 In other words, they are factory-engineered stone composite finished with wastes of either glass, silica, mirrors, ceramics, etc., which explains all the endearing radiance and wide range of limitless patterns and colors that make them stand out. 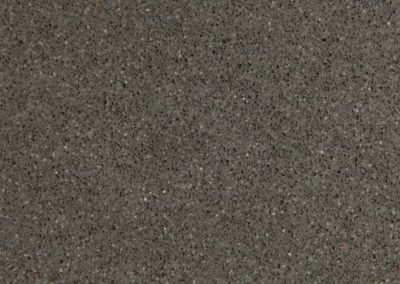 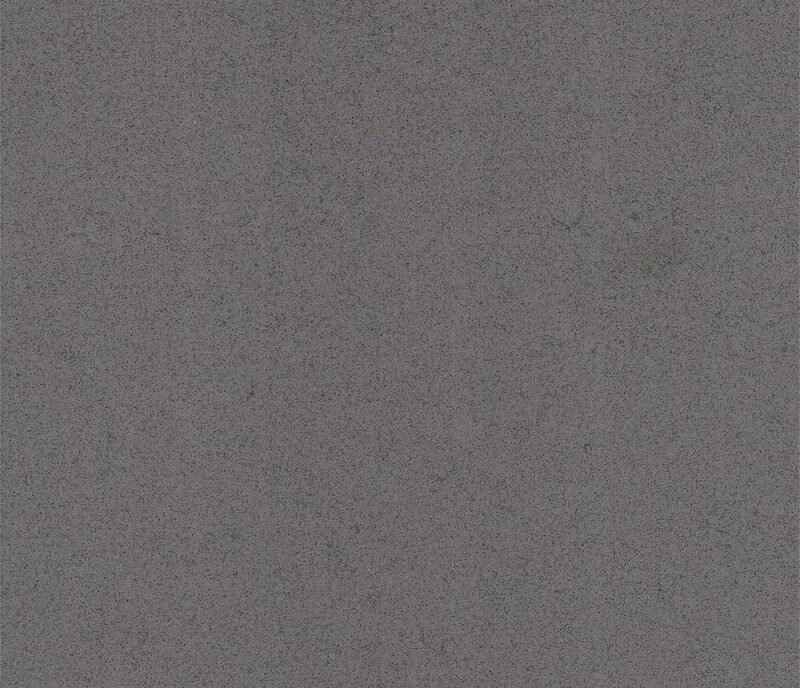 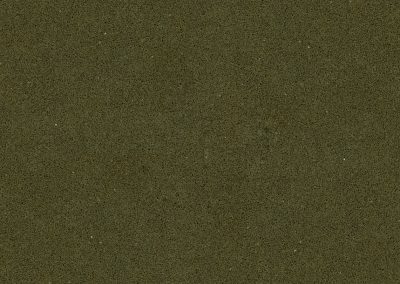 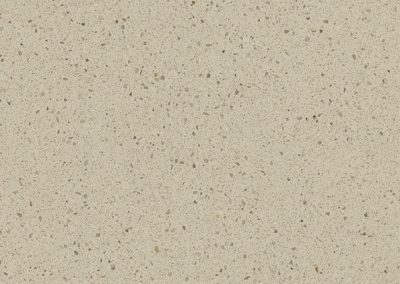 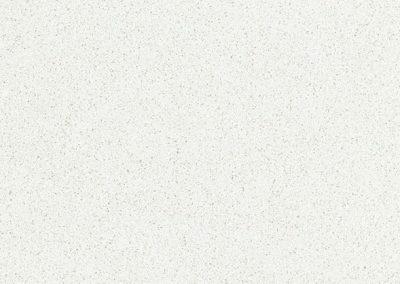 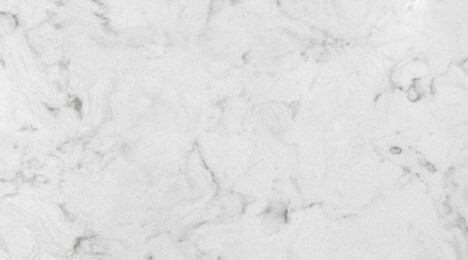 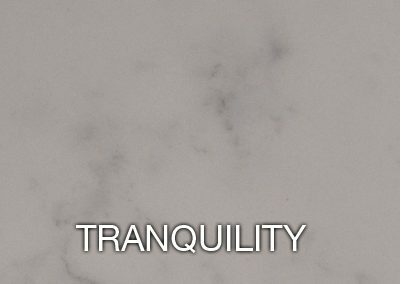 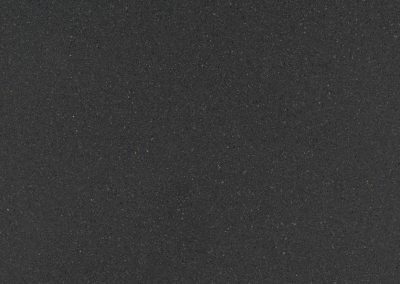 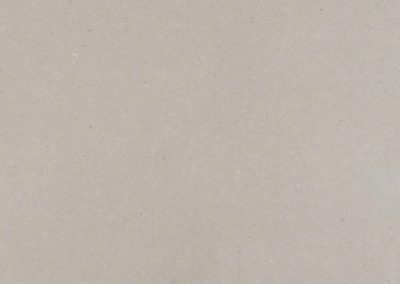 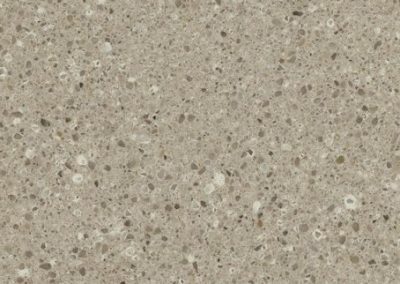  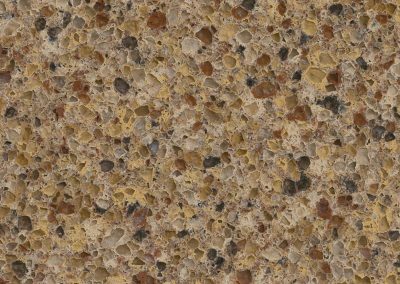  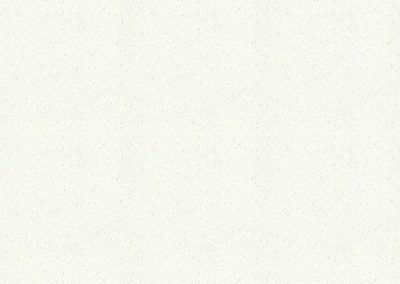  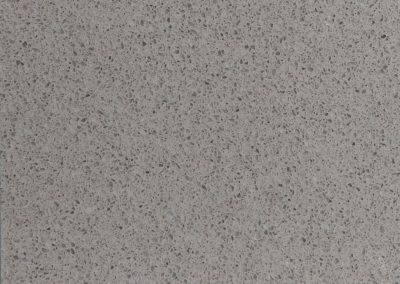 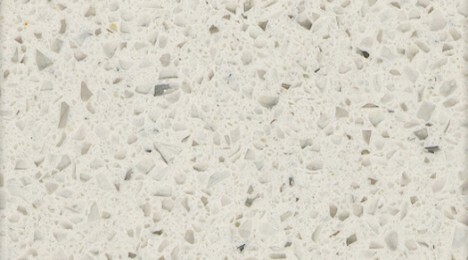 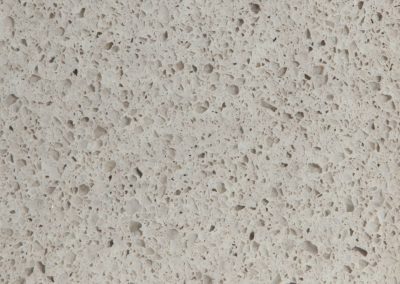 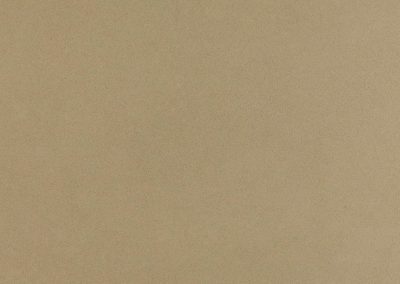 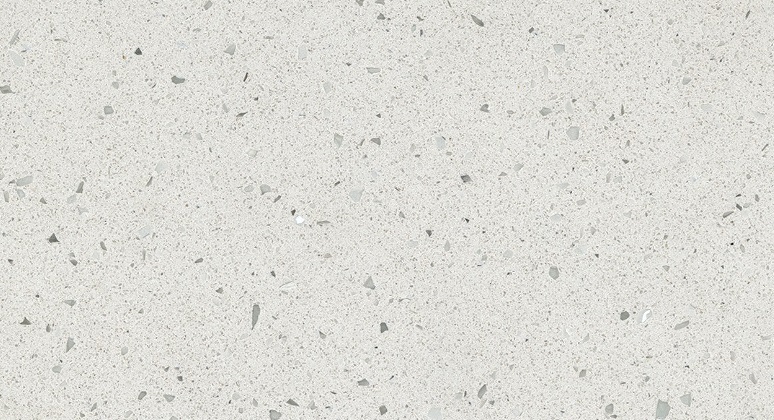 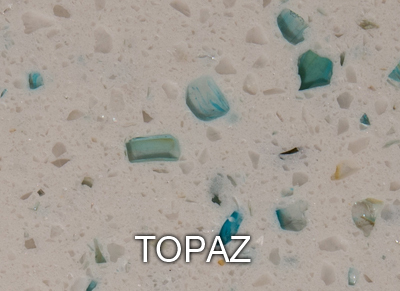 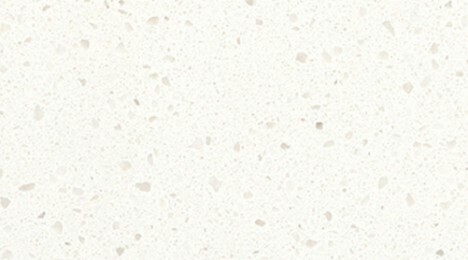 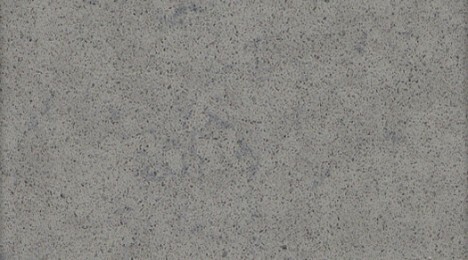 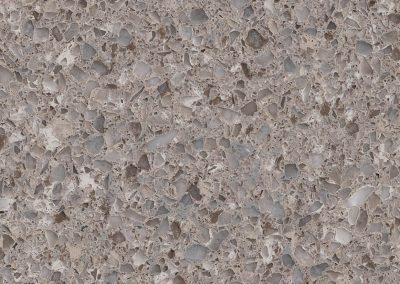 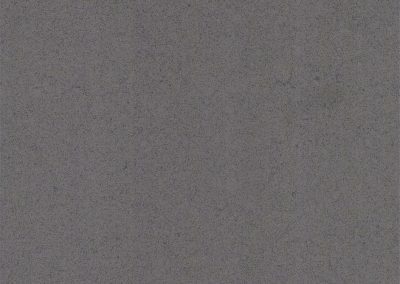 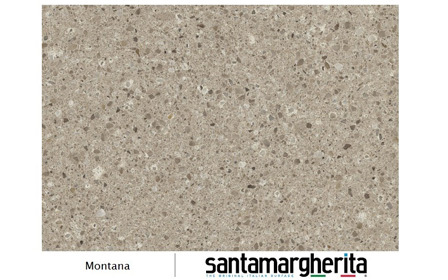 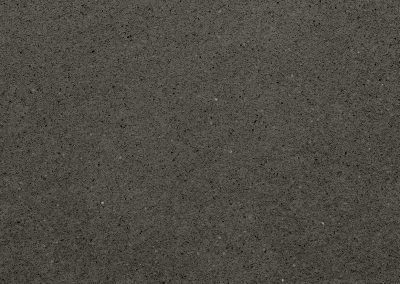 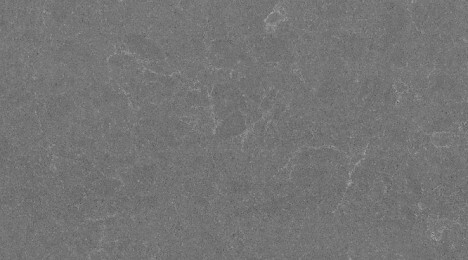 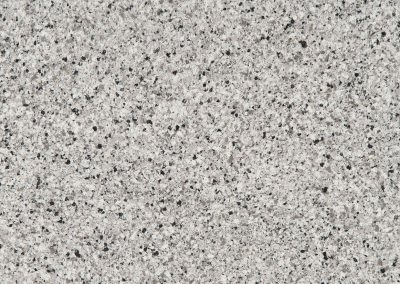 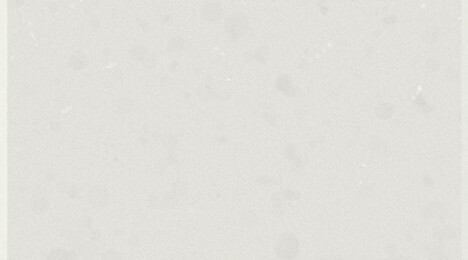 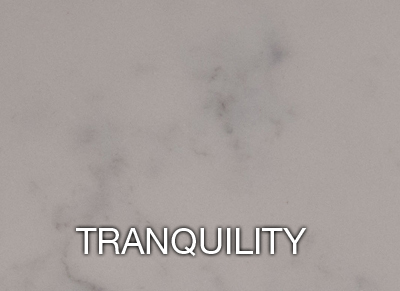 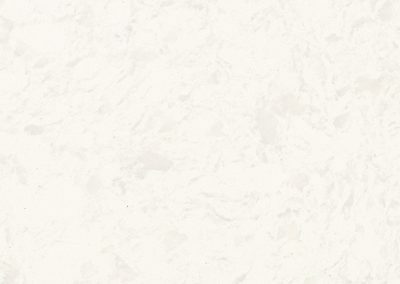 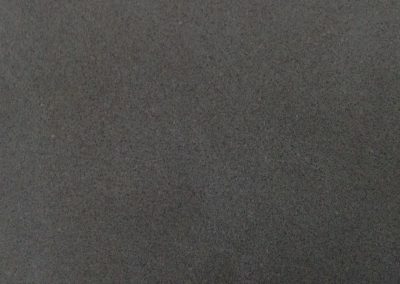   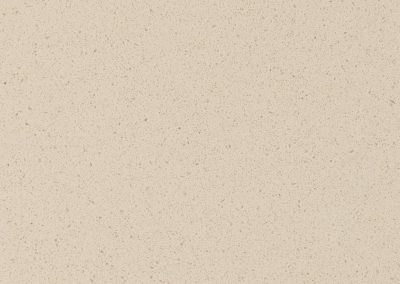 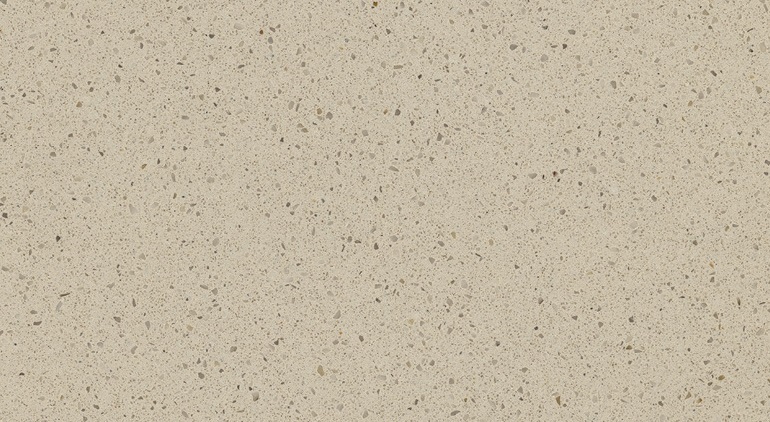 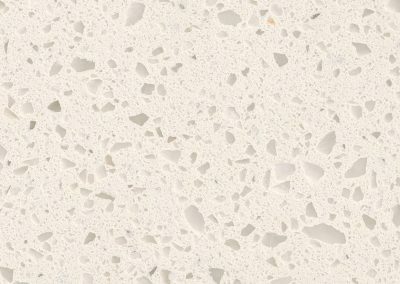 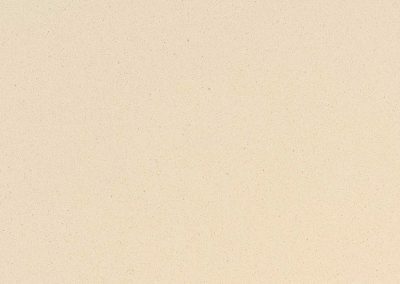 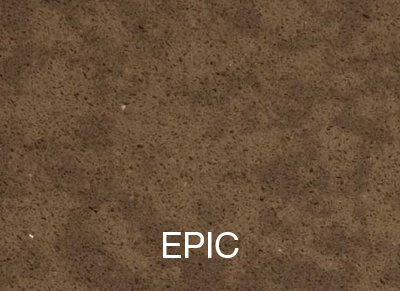 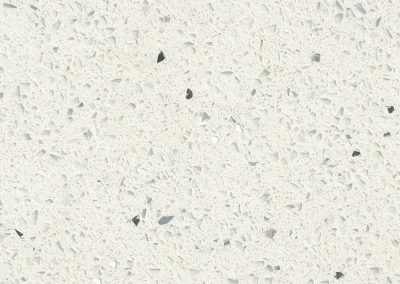 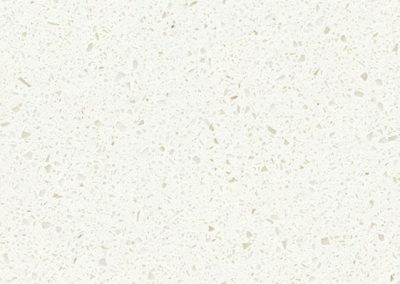 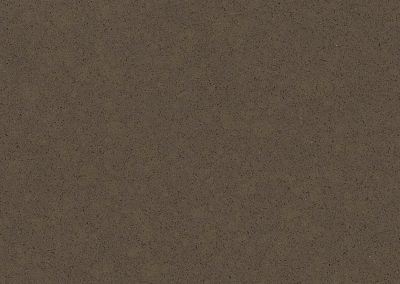  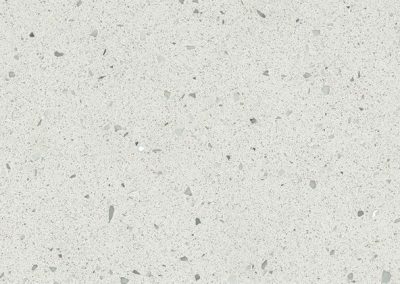 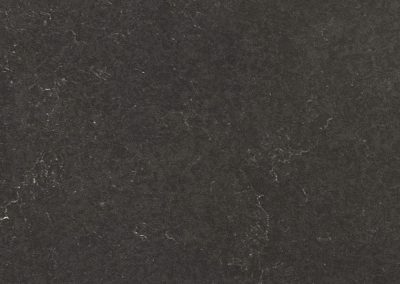 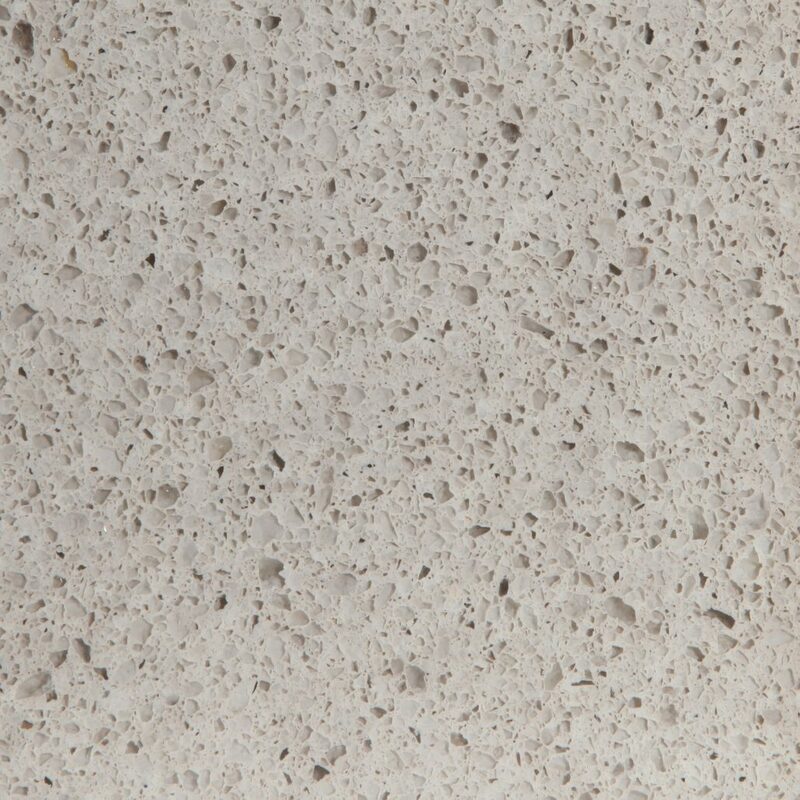 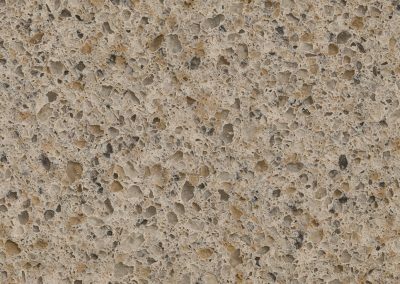 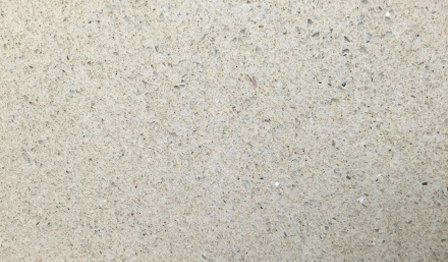 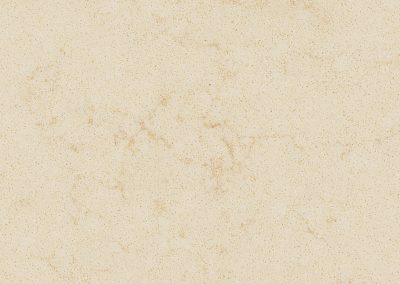 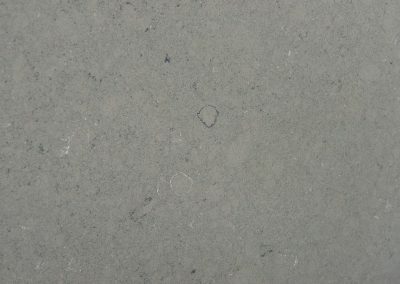 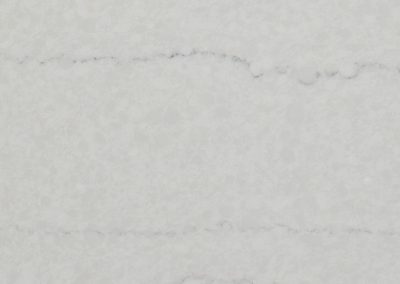  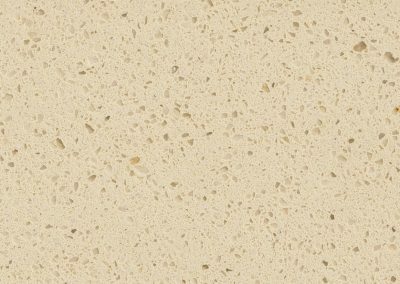  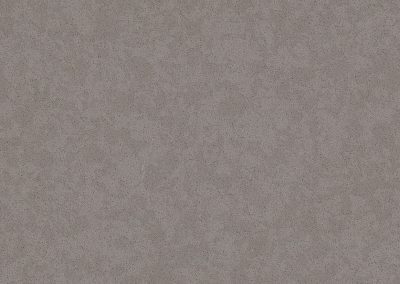 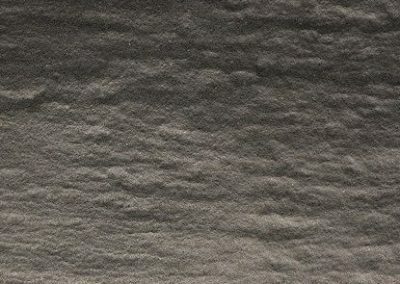 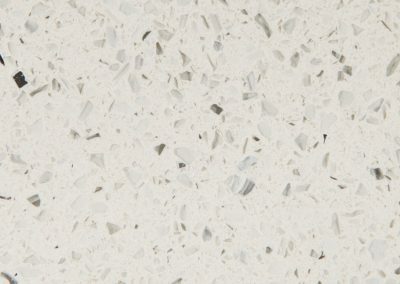 Being less natural doesn’t in any way make quartz countertops any less strong, as the cement binders improve their strength, and stone blends make them even stronger than what is expected of natural quartz. 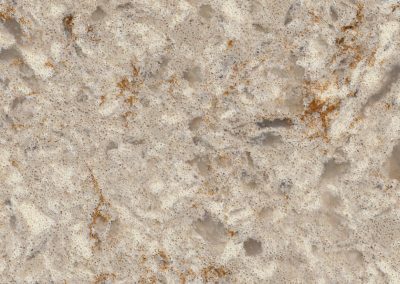  Then there is the strong, undeniable attraction that it bears, which makes quartz countertops instantaneously improve the outlook and style of kitchens and baths; even if it’s only placed on a vanity cabinet. 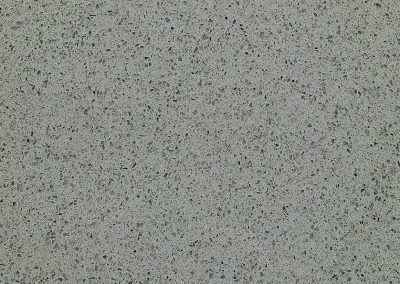 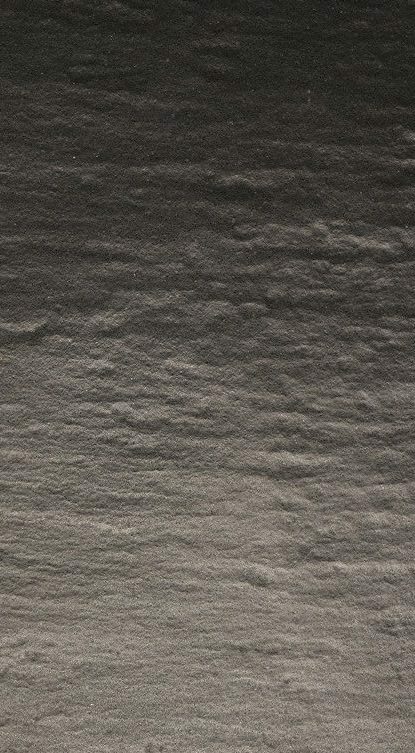 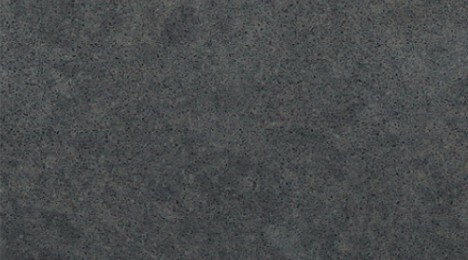 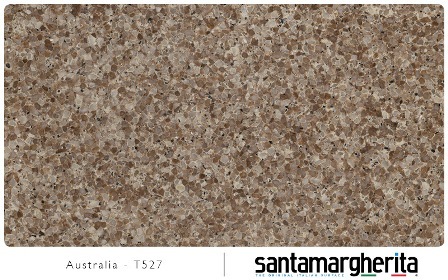 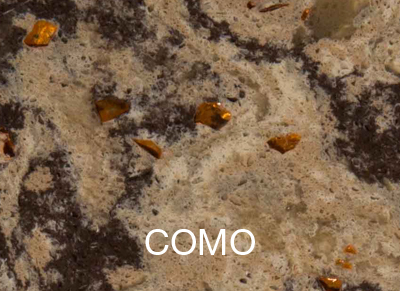 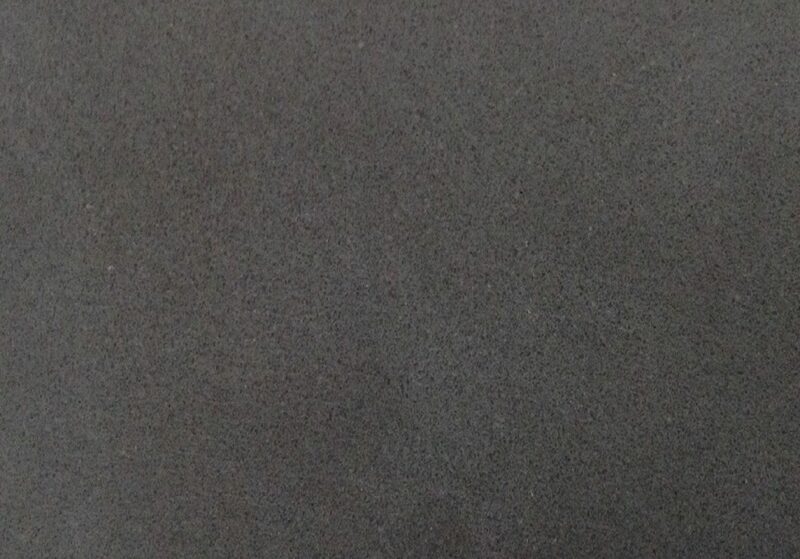 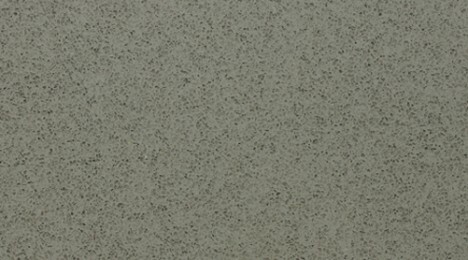 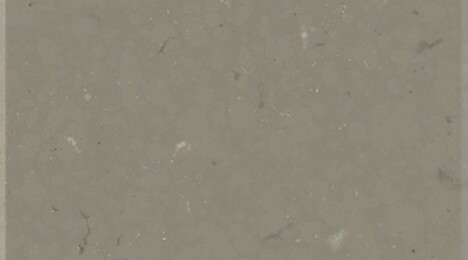 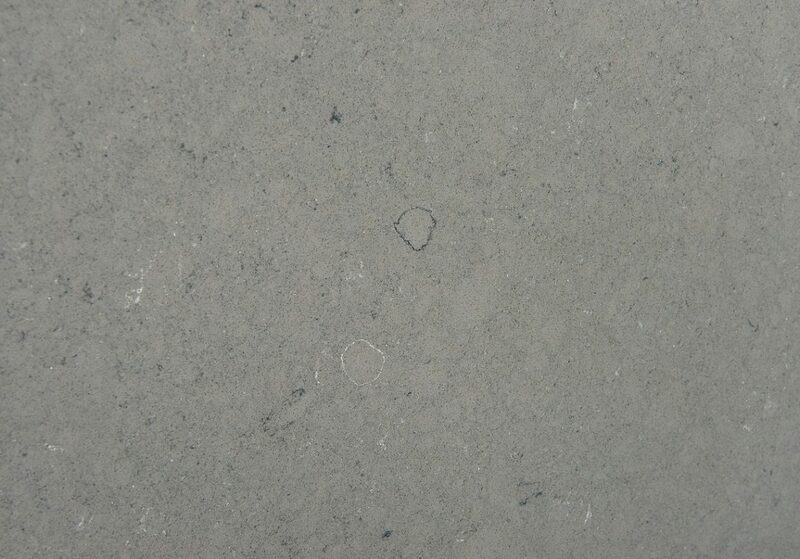 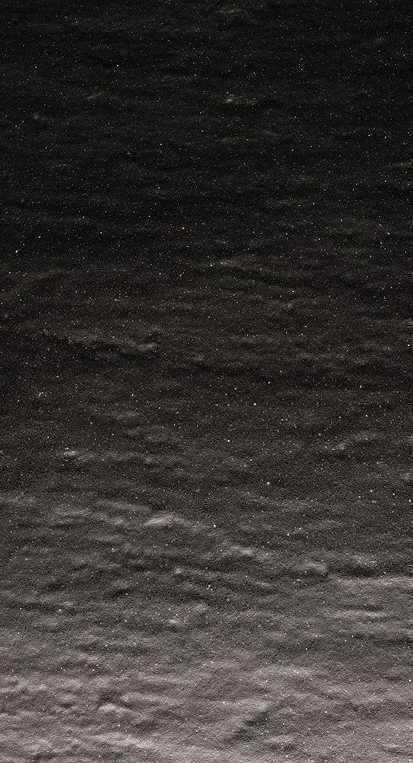 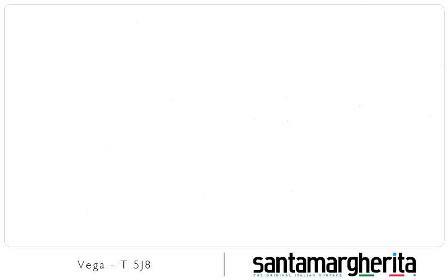 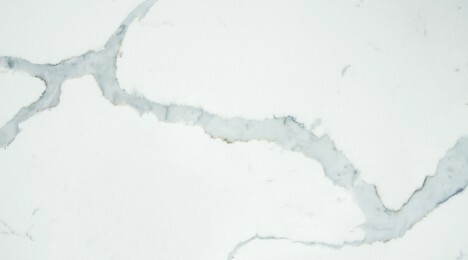 The quartz slabs are available in full slabs and quartz remnant slabs; we are ready for your major and small projects!